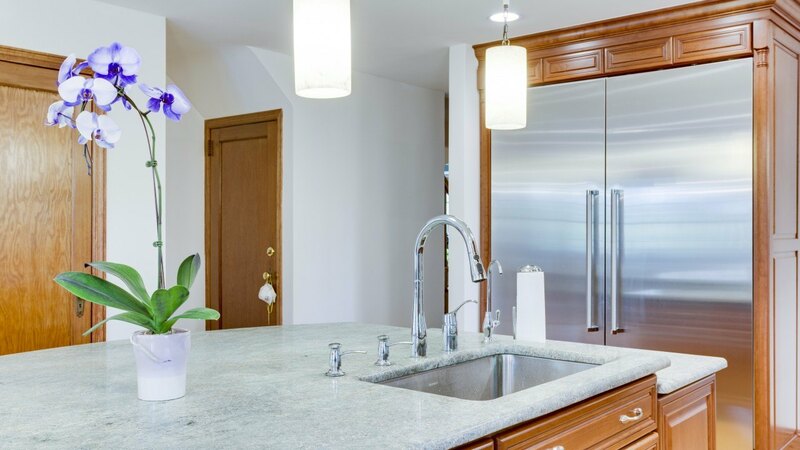 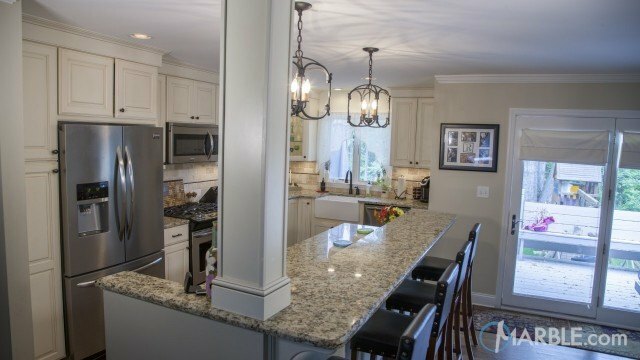 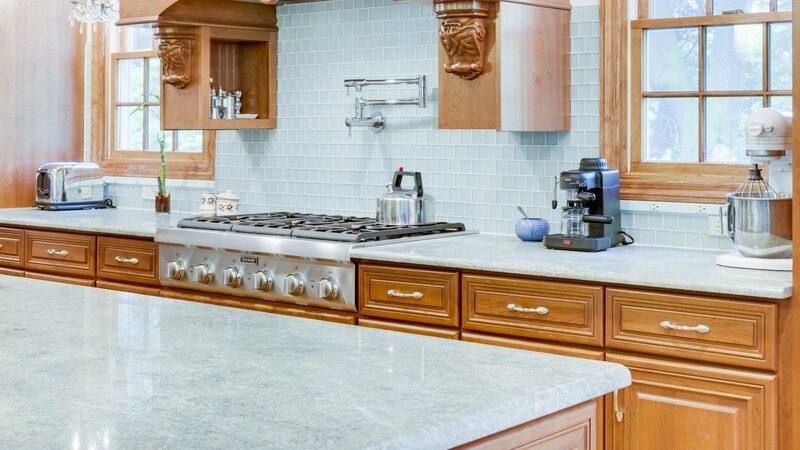 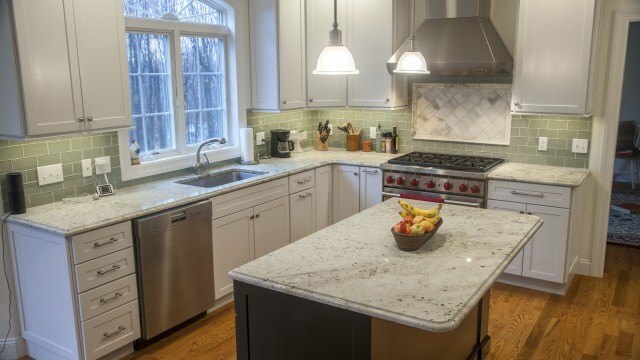 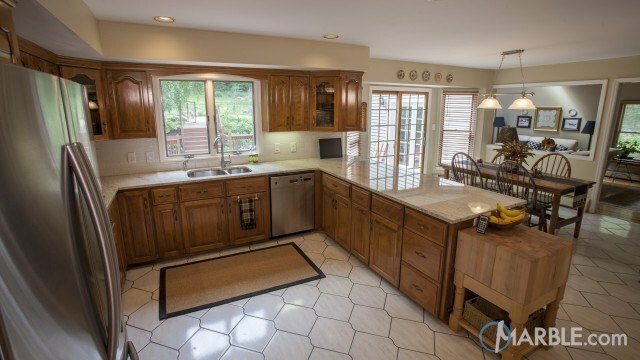 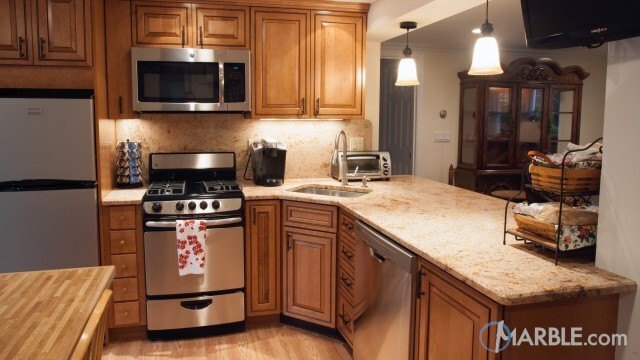 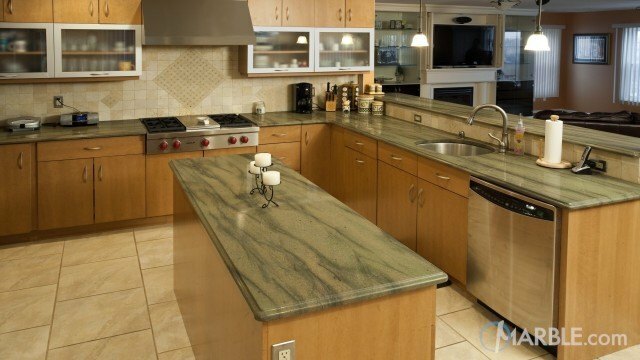 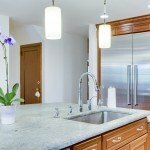 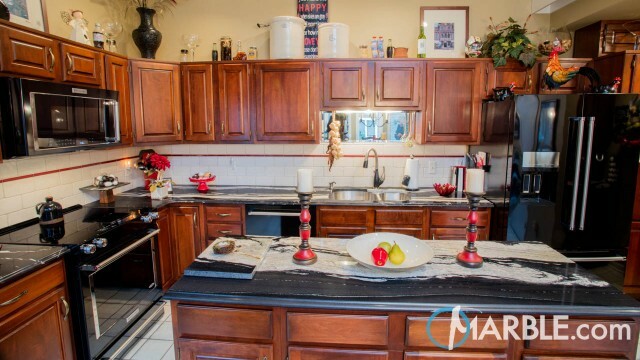 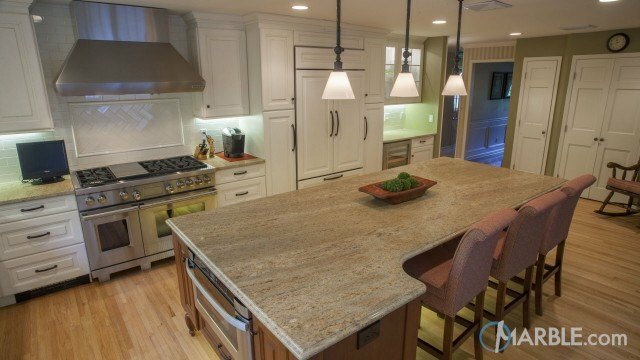 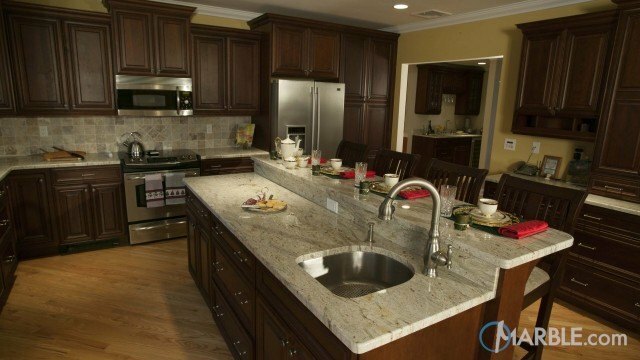 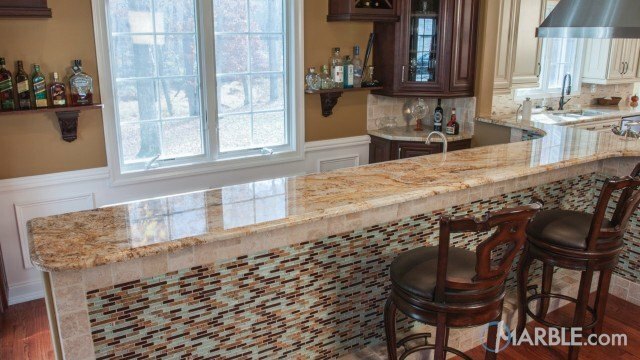 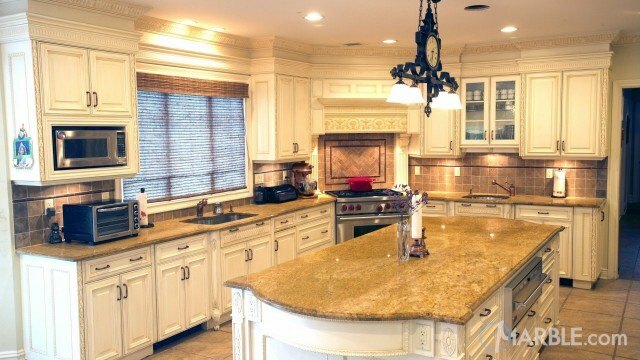 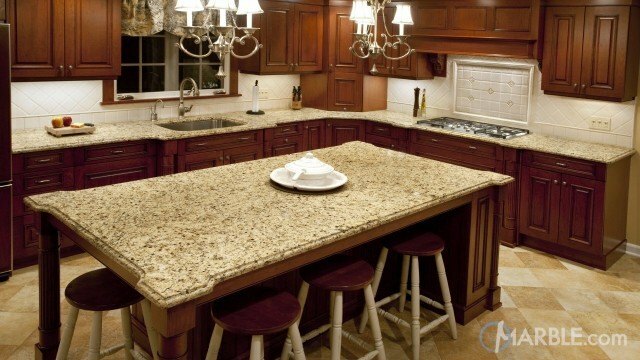 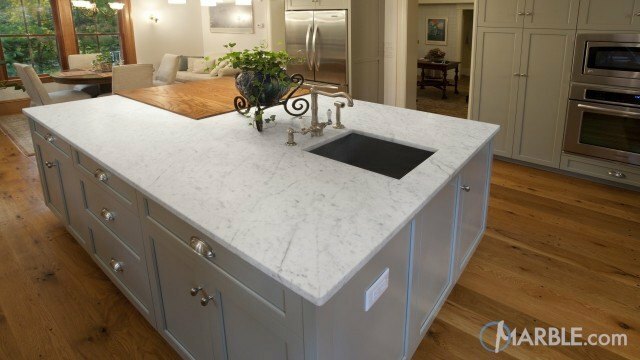 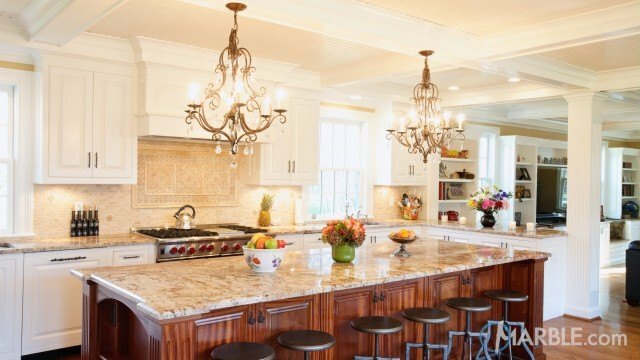 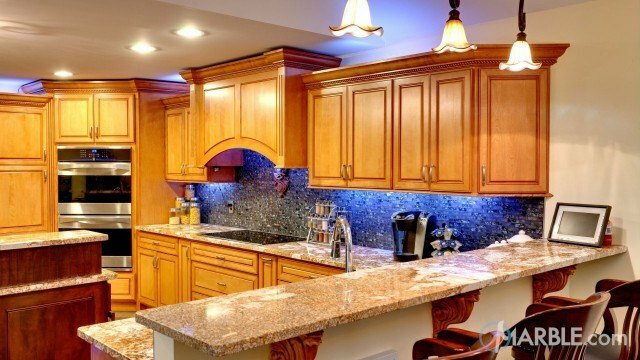 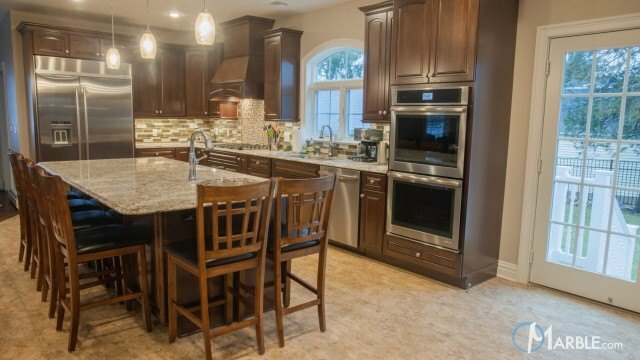 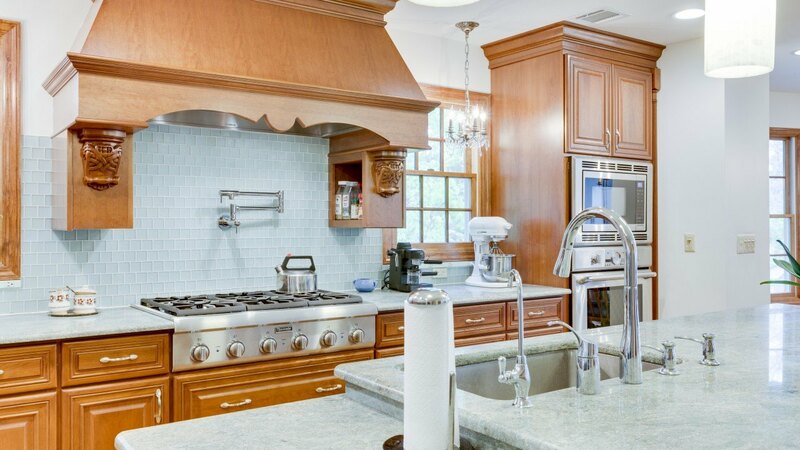 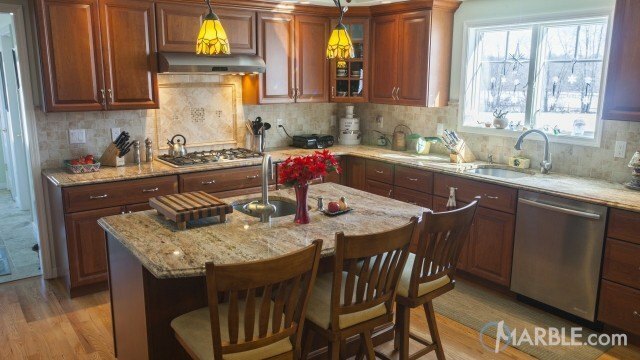 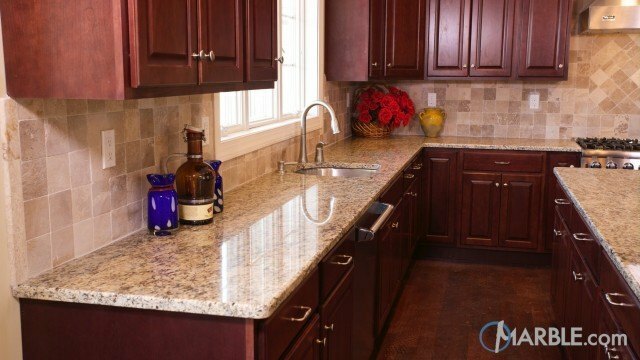 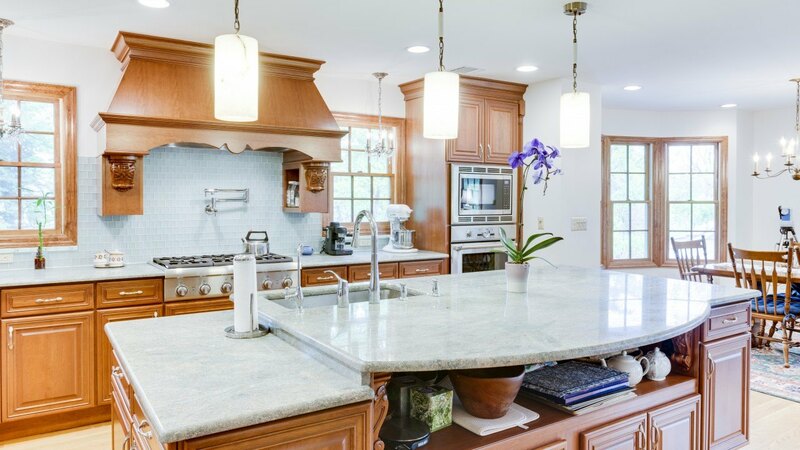 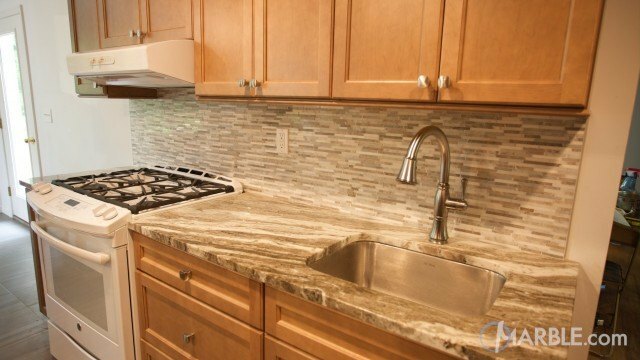 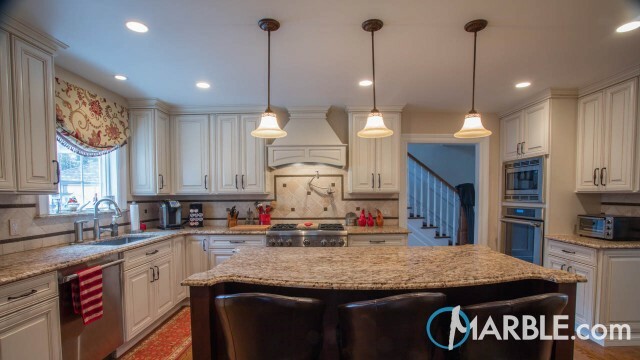 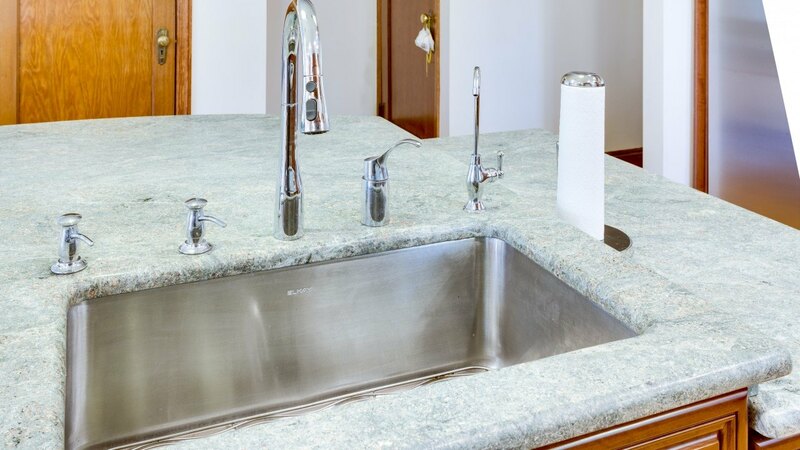 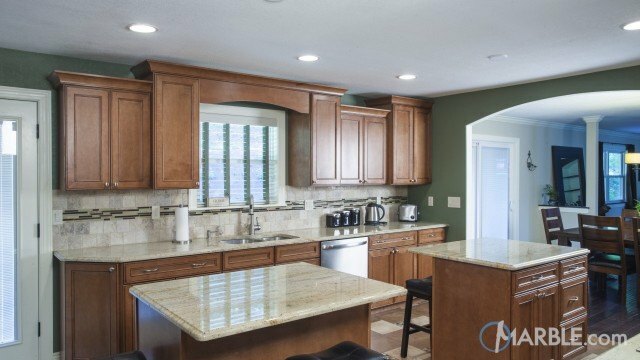 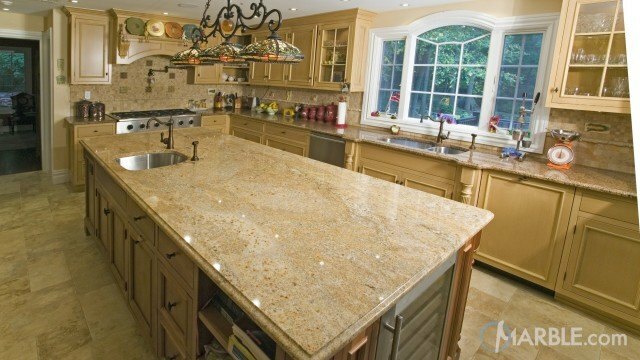 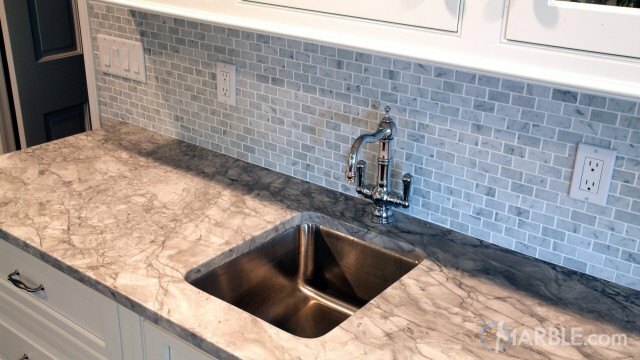 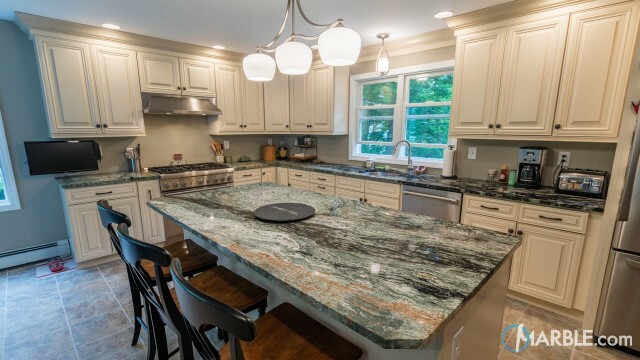 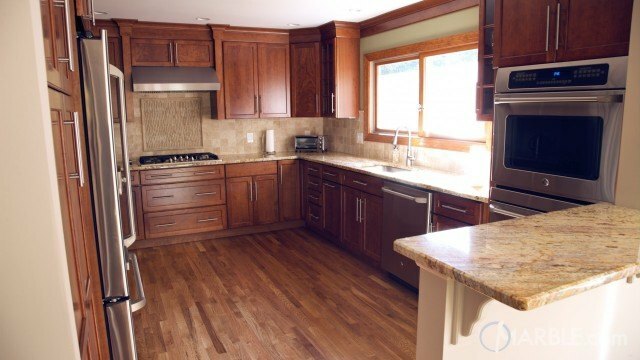 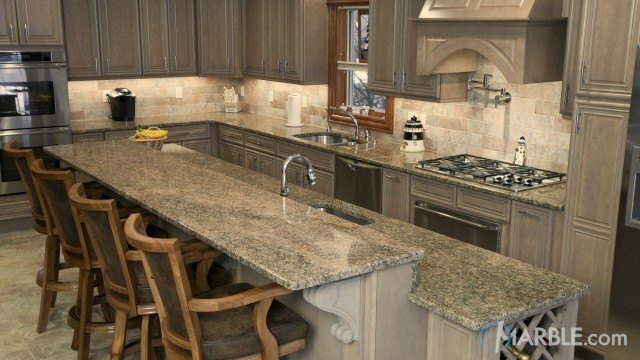 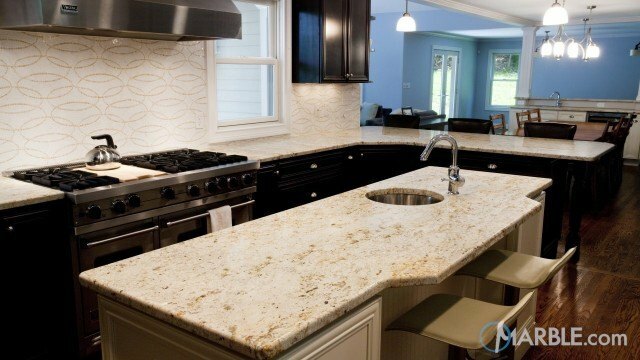 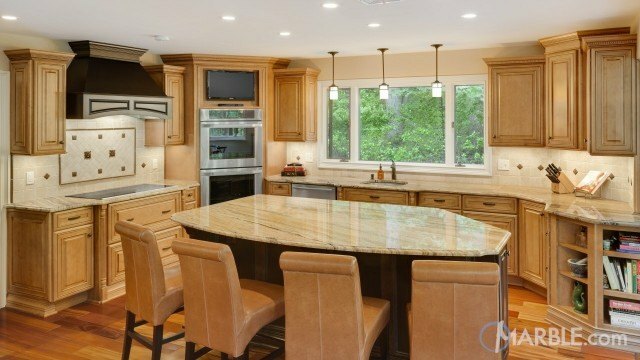 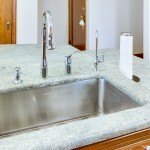 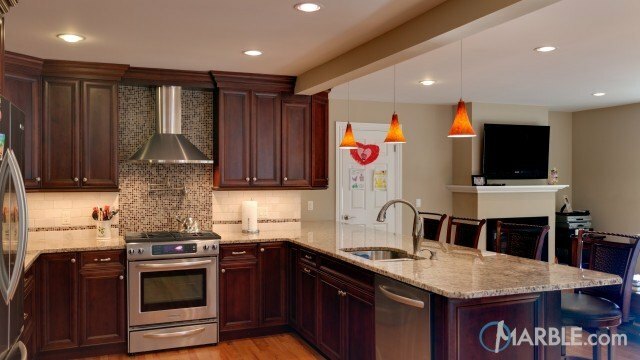 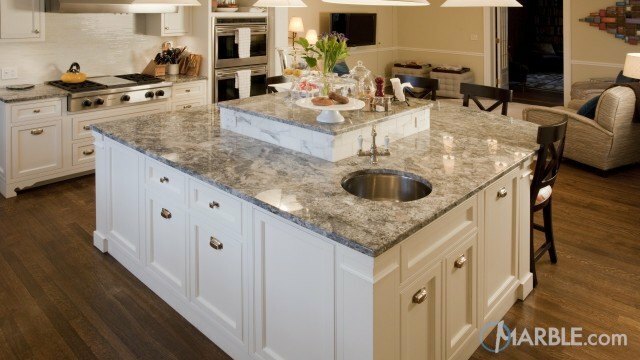 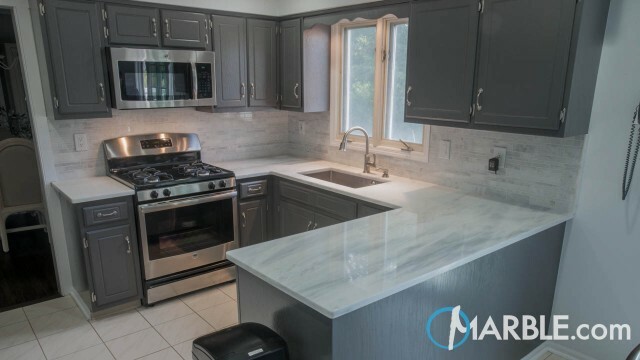 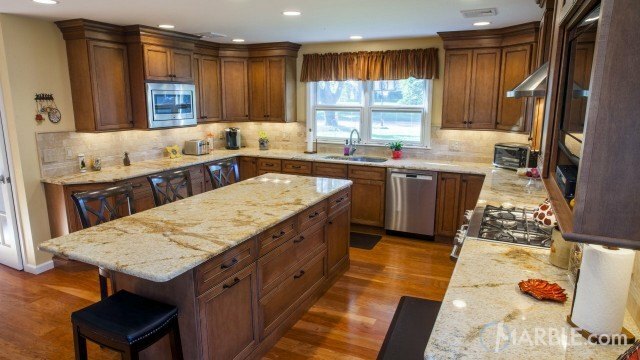 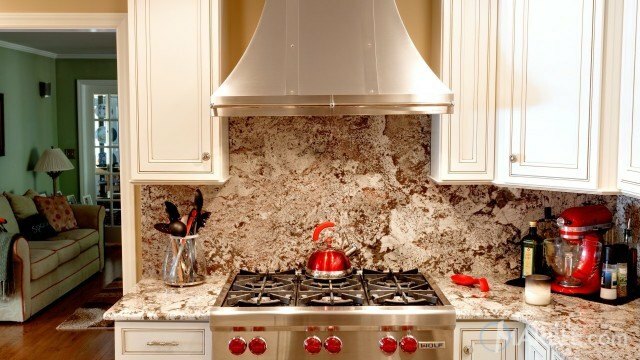 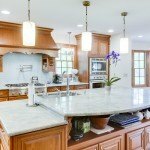 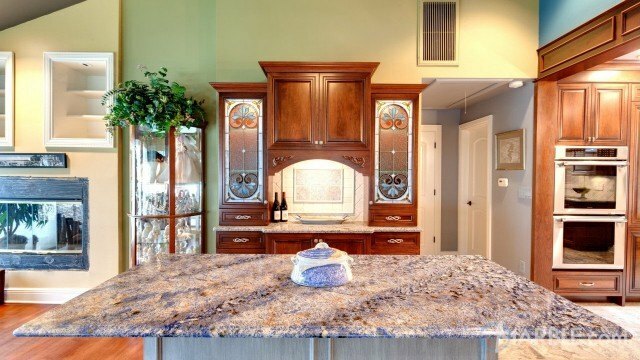 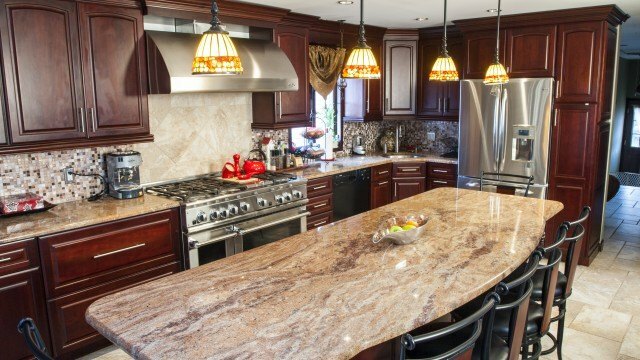 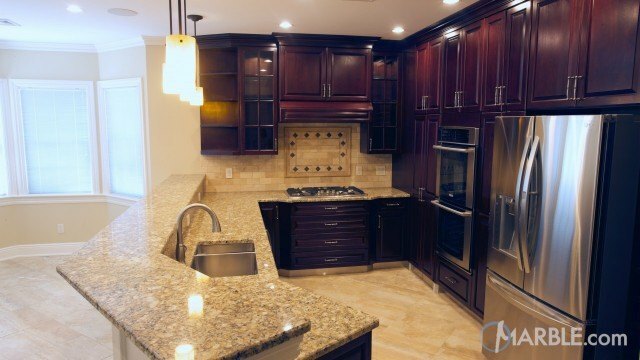 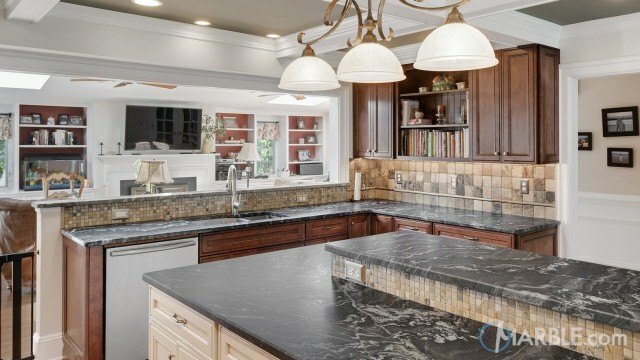 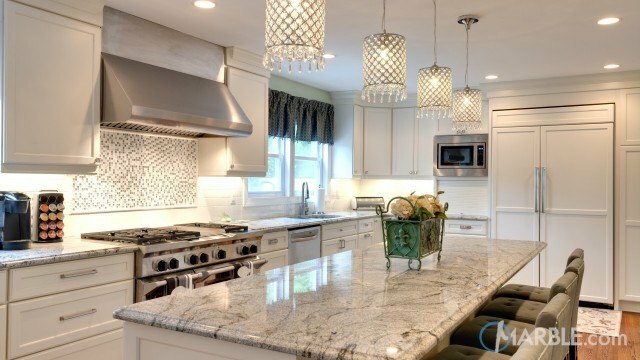 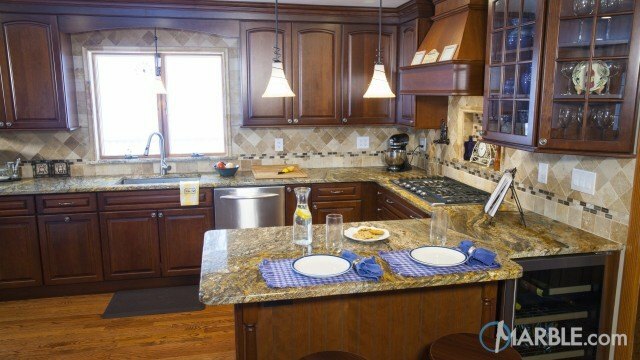 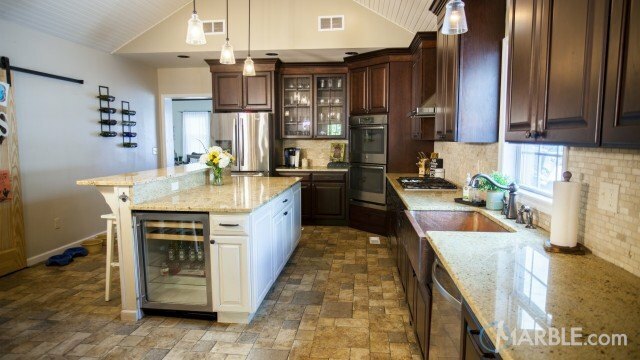 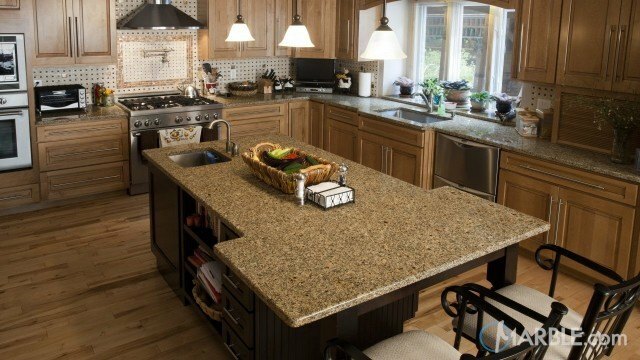 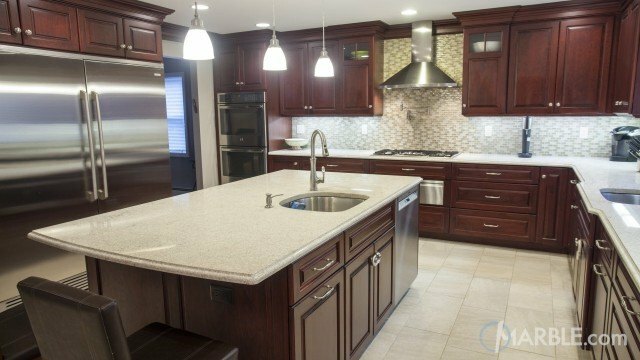 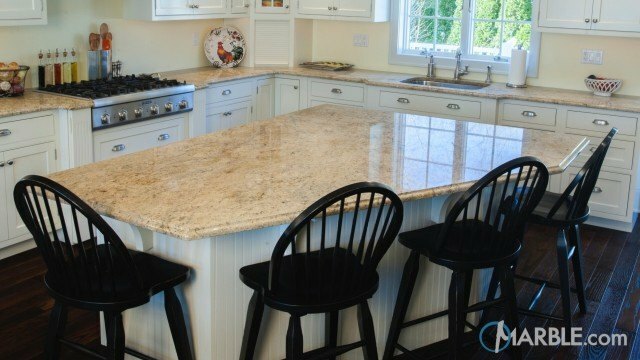 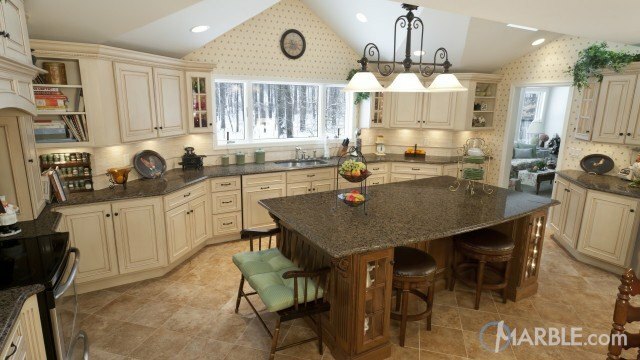 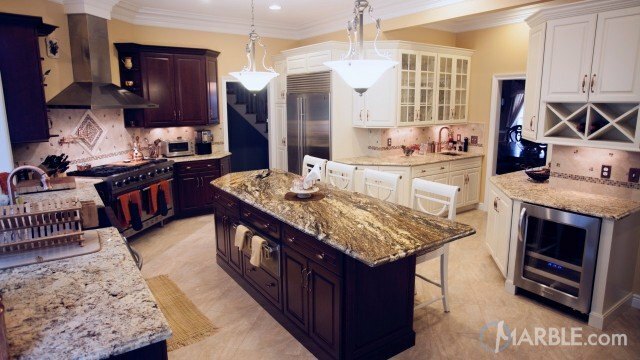 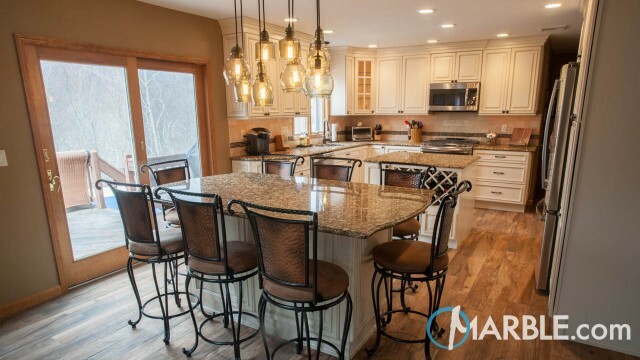 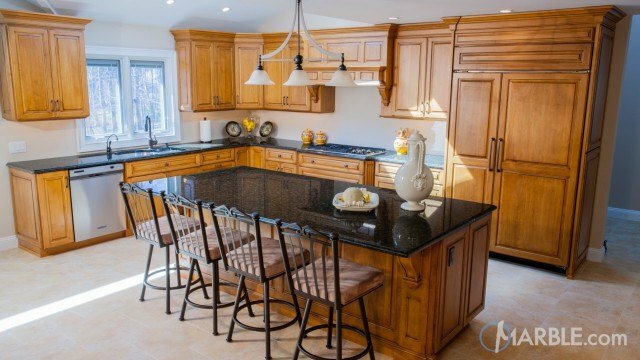 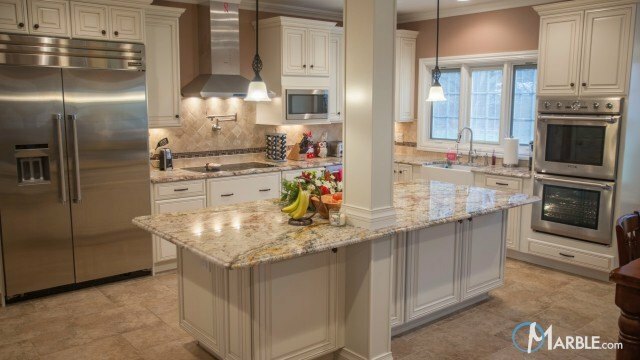 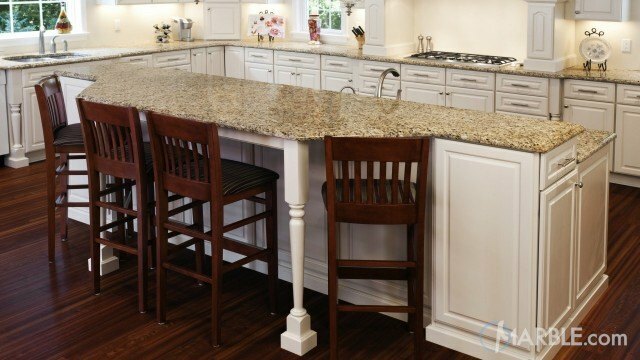 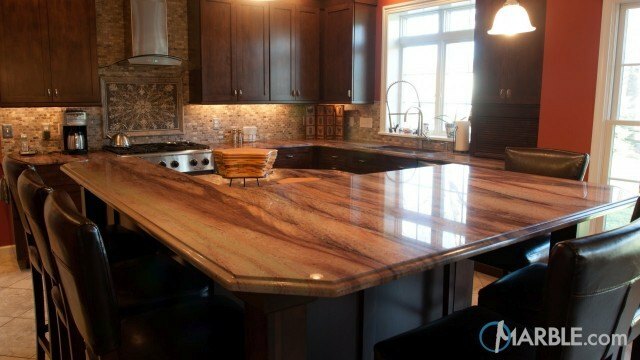 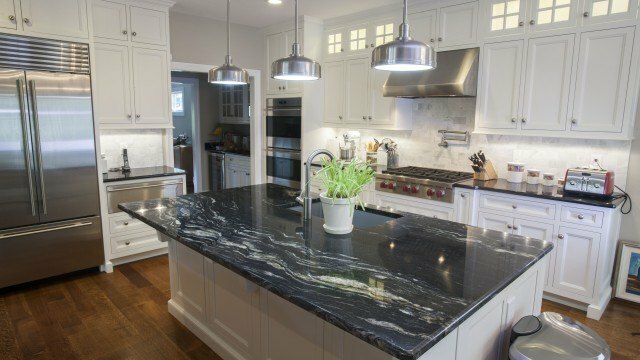 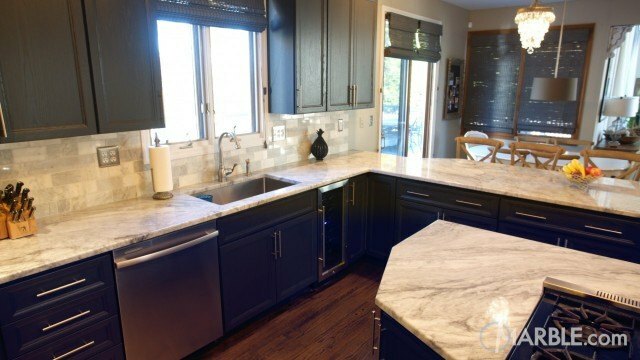 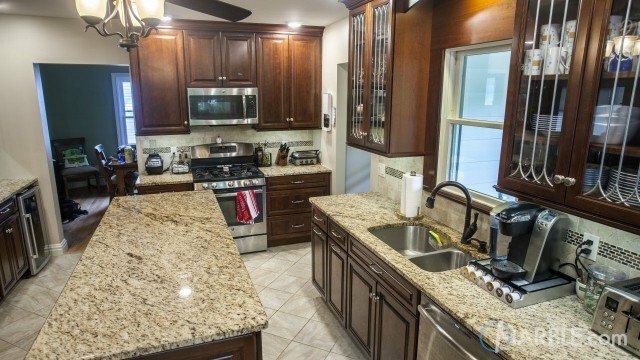 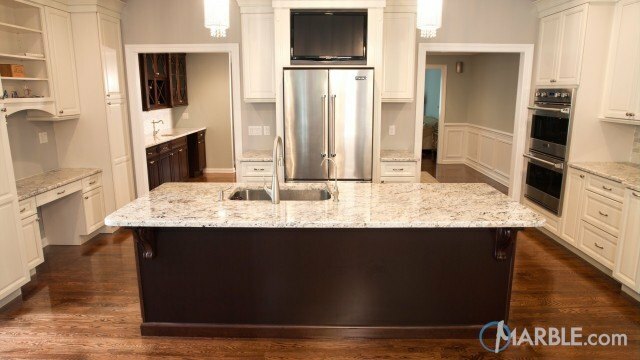 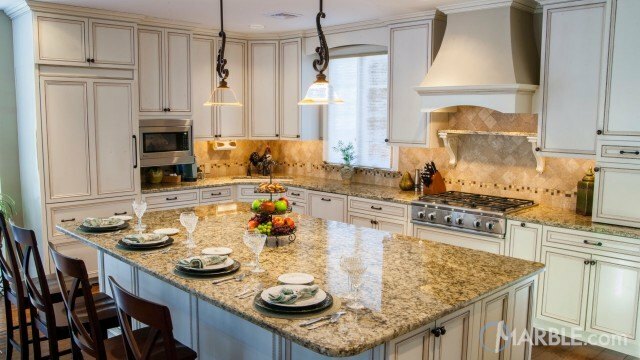 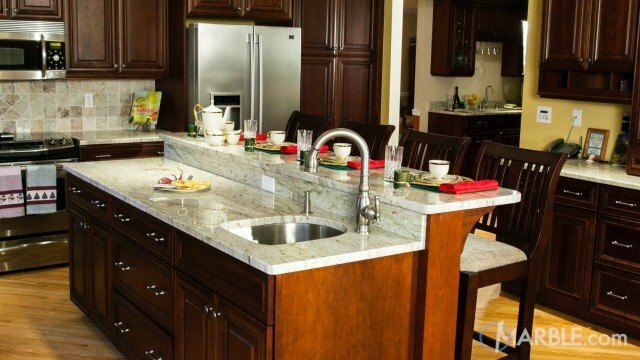 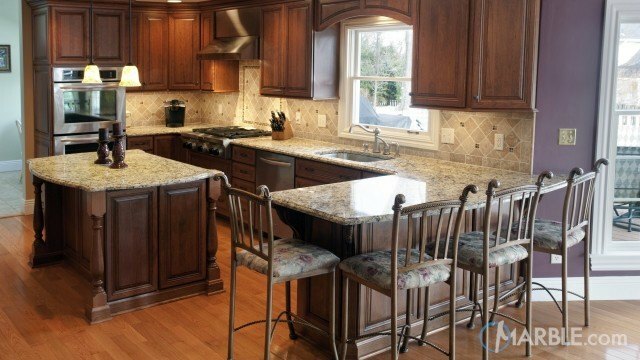 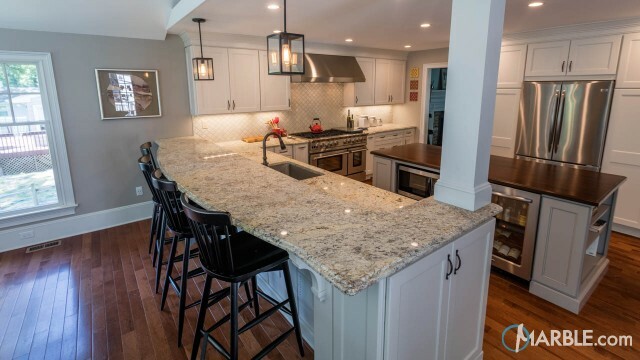 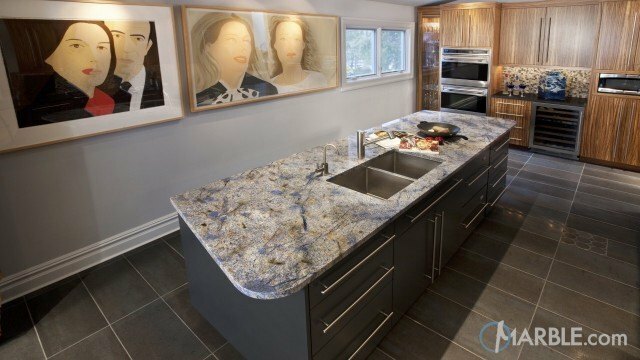 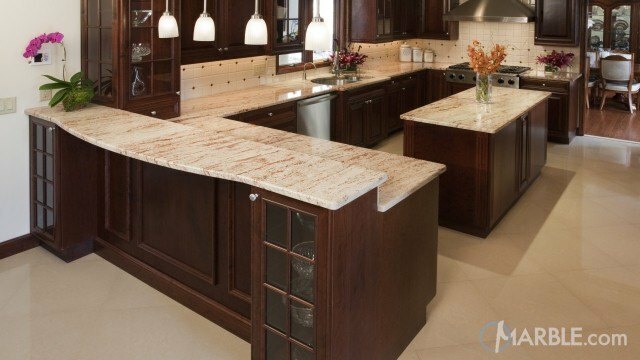 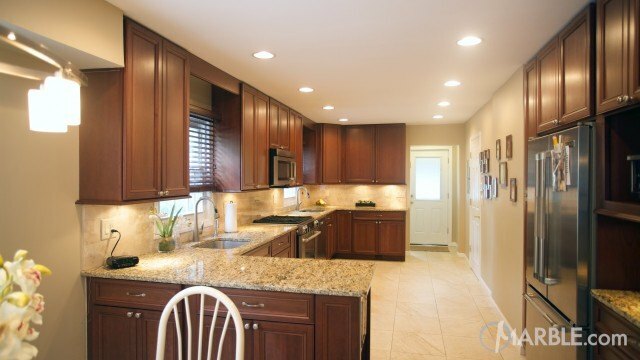 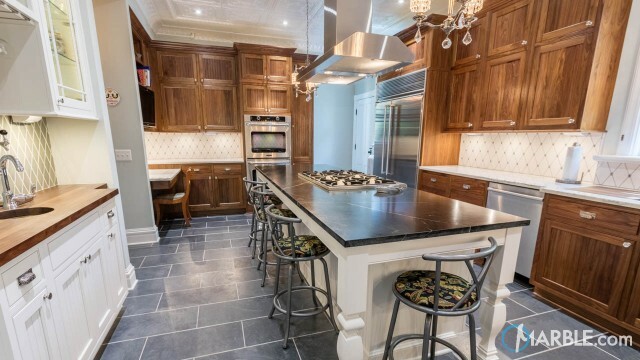 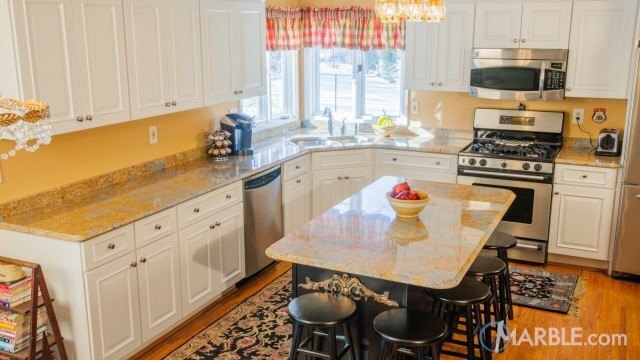 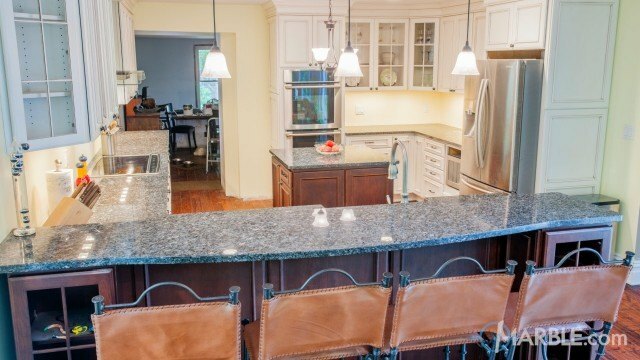 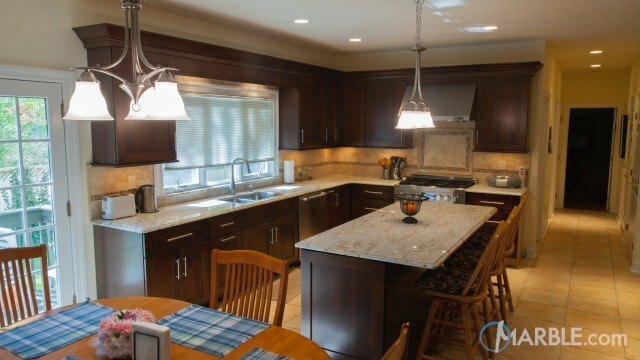 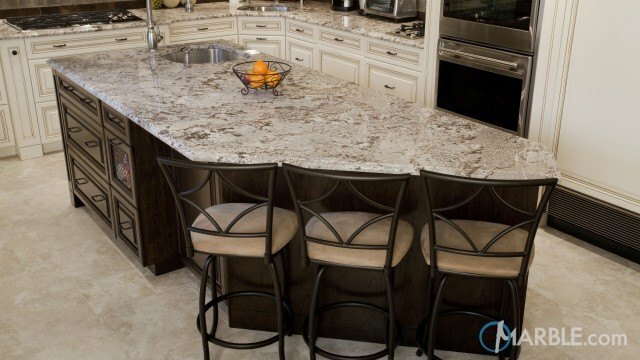 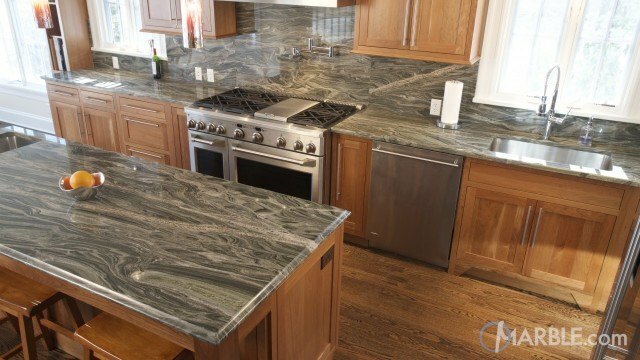 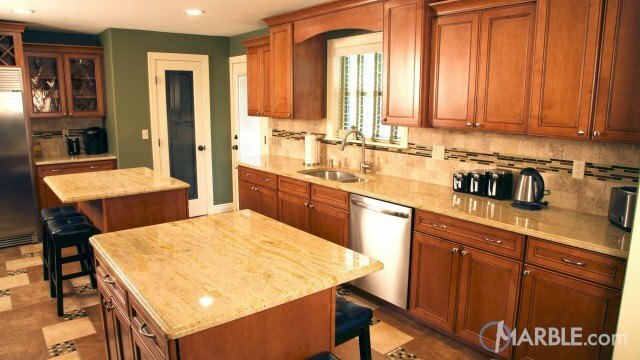 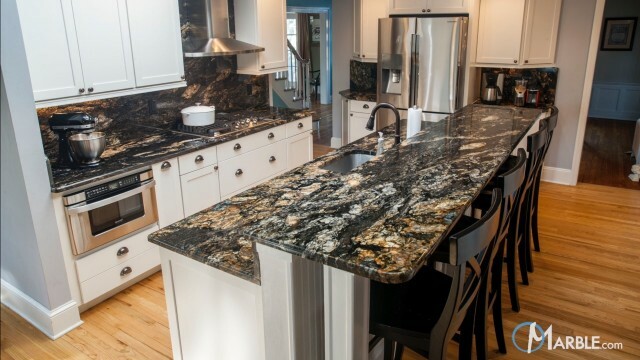 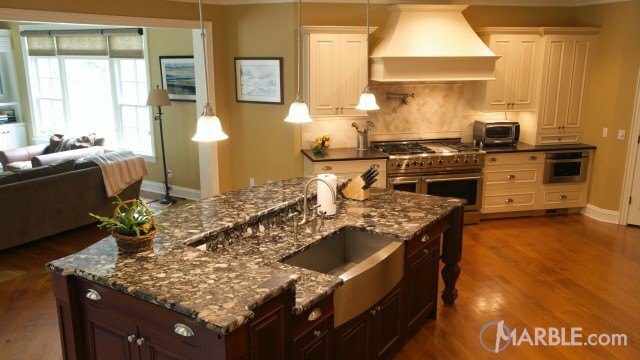 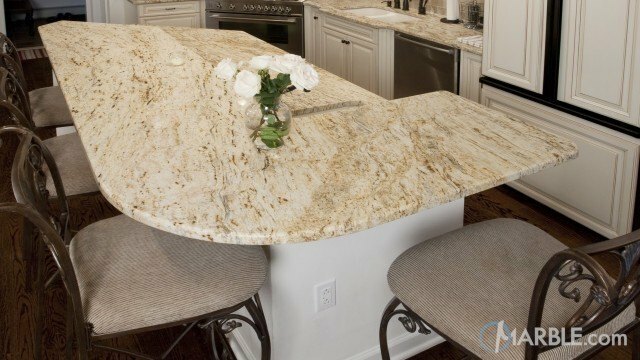 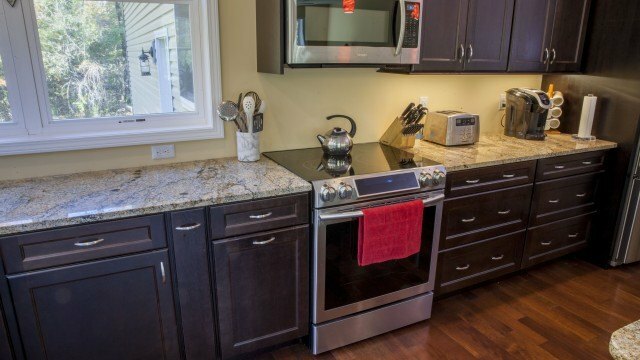 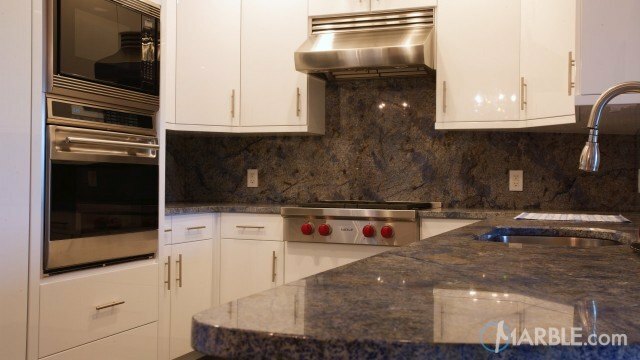 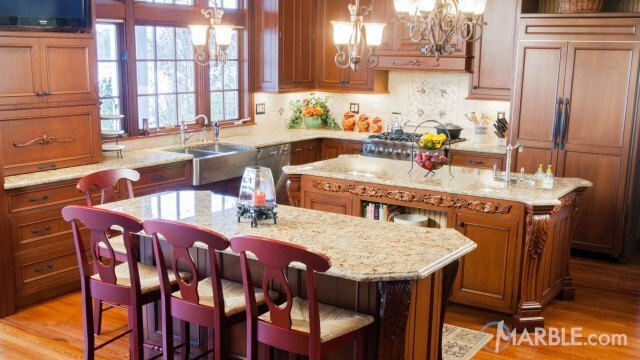 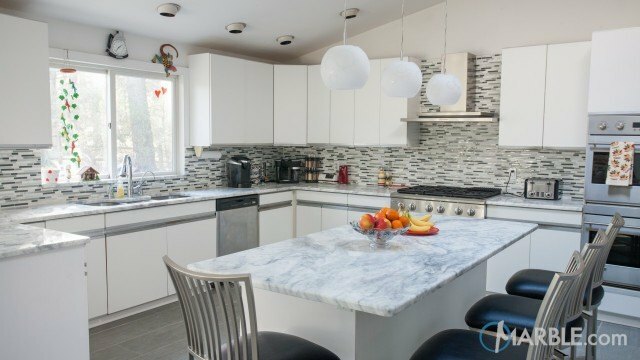 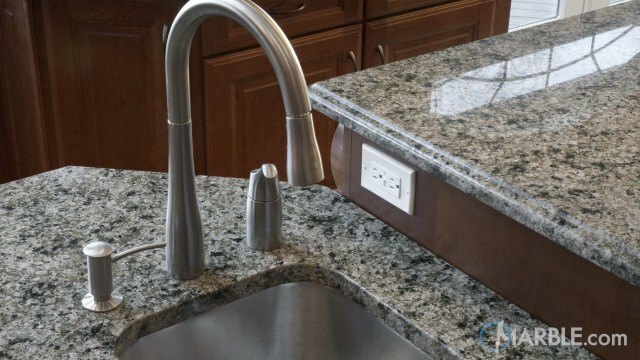 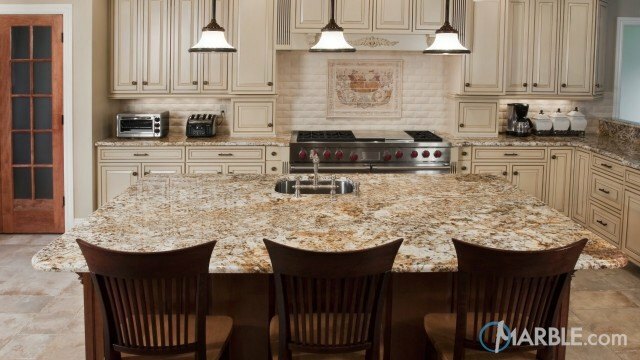 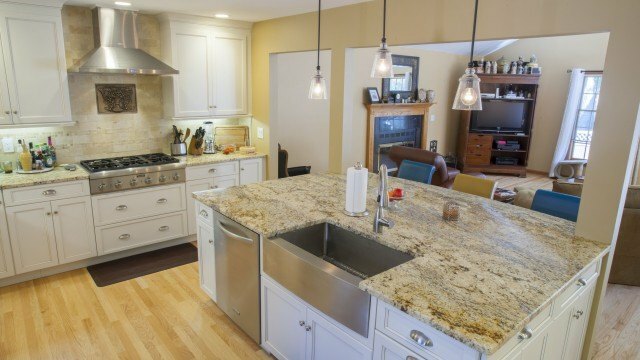 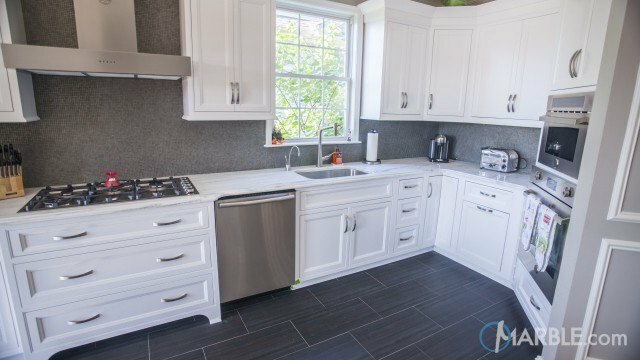 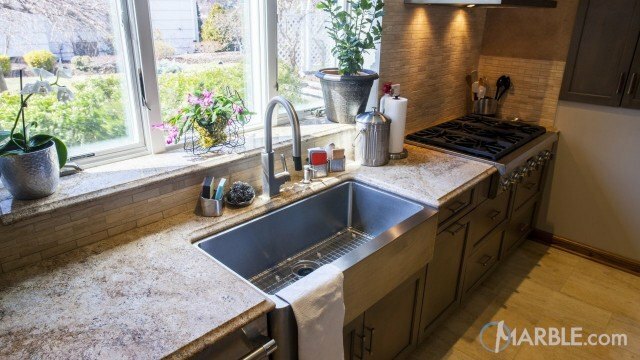 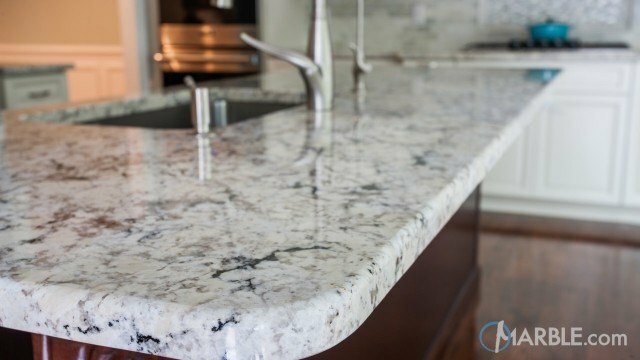 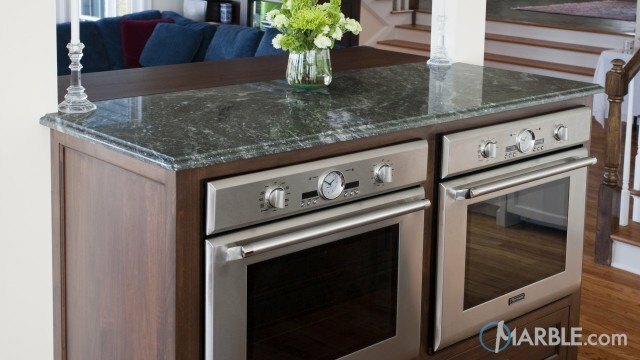 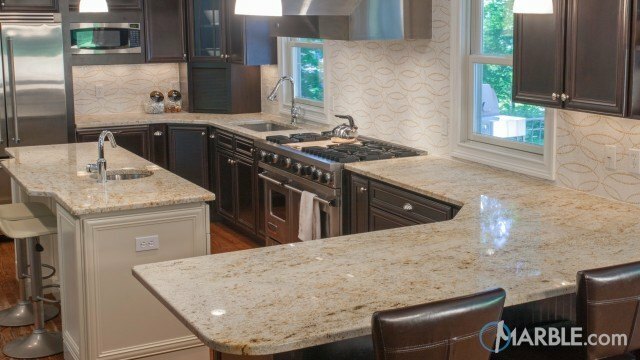 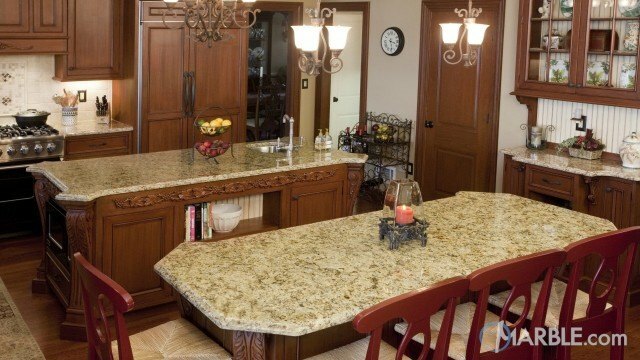 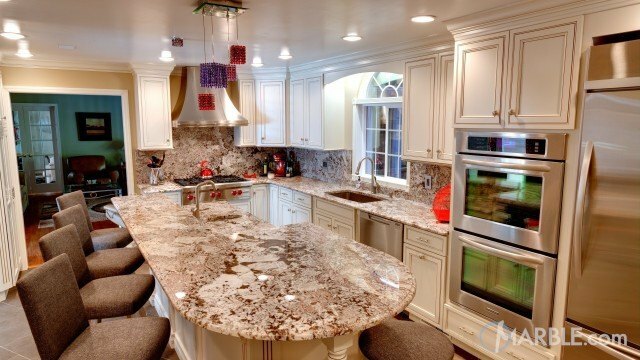 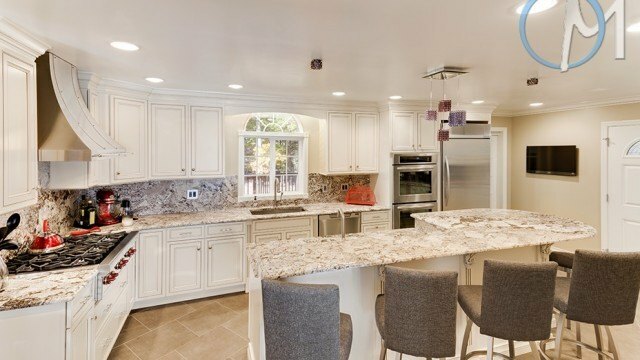 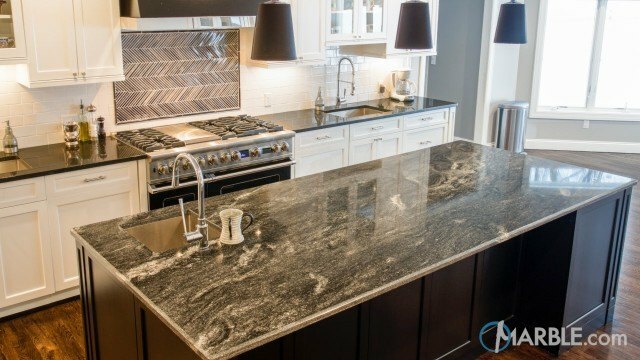 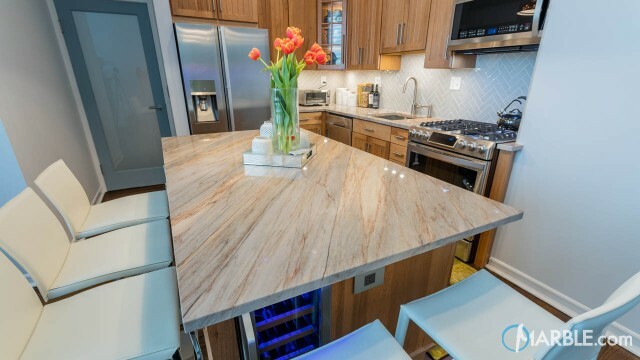 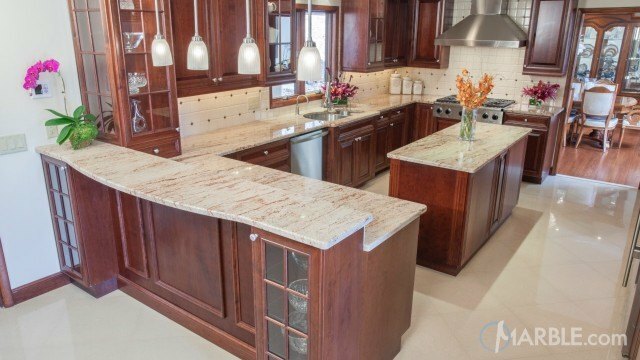 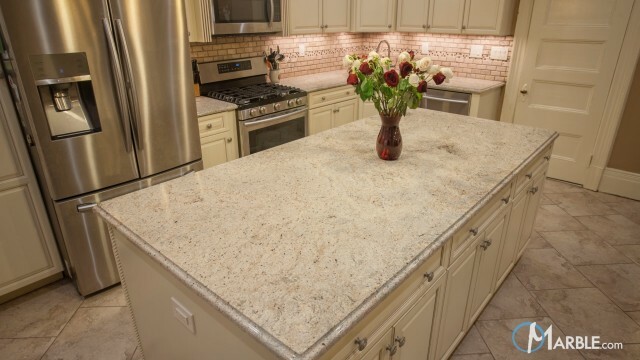 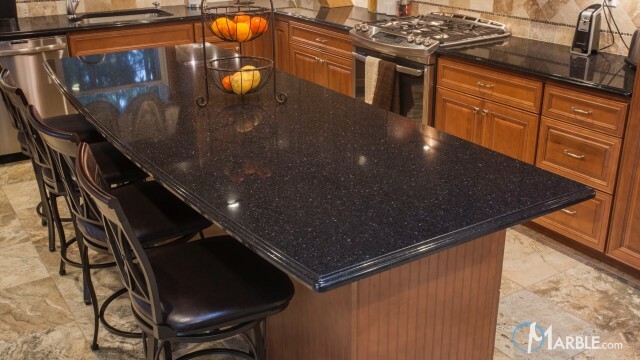 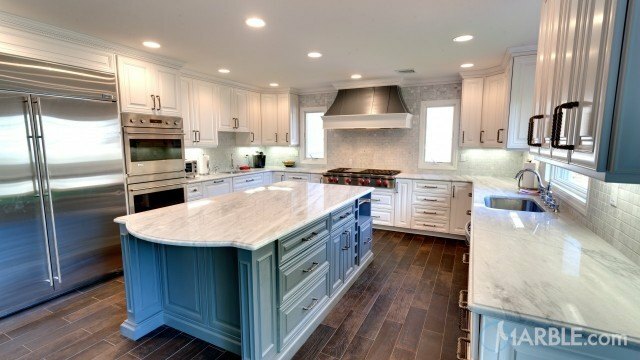 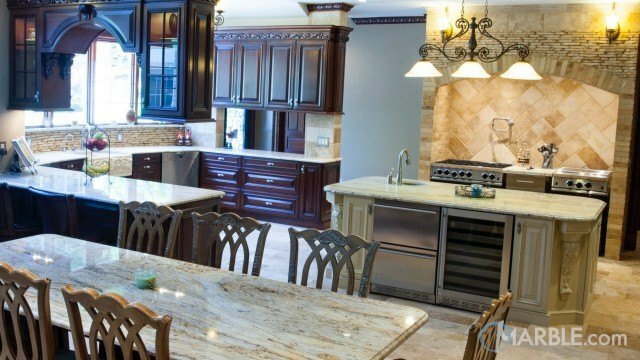 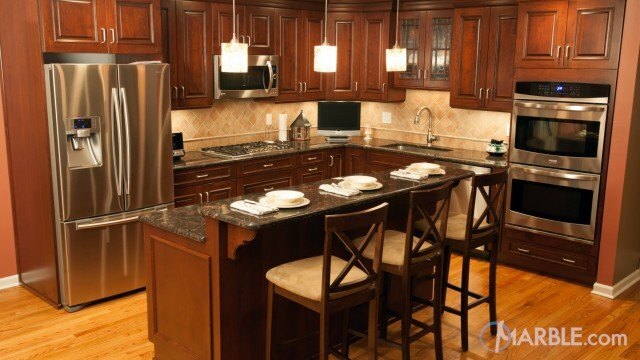 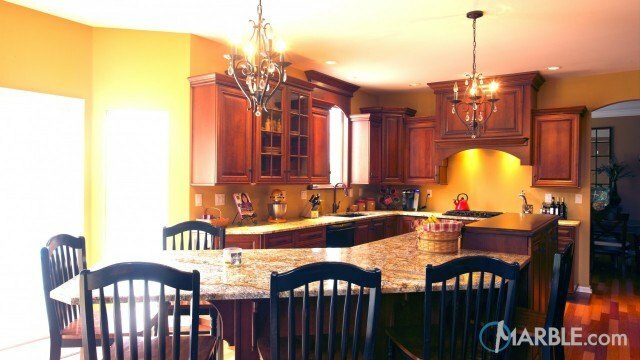 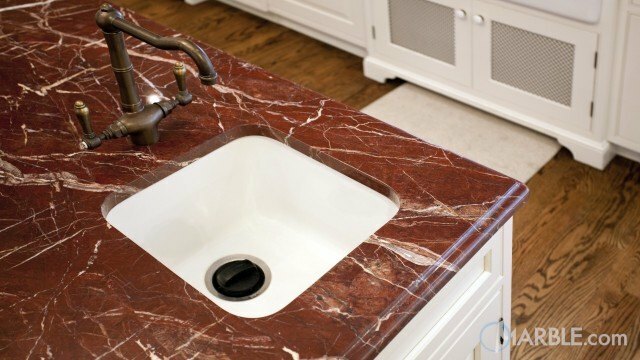 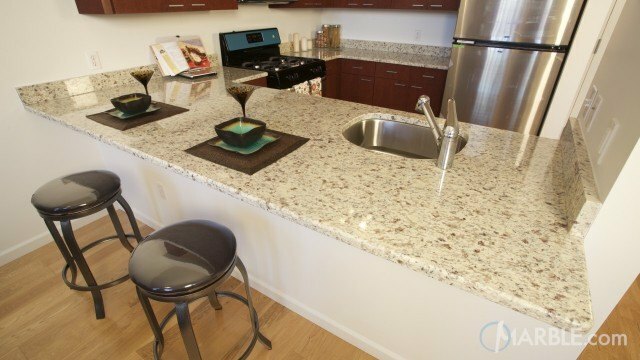 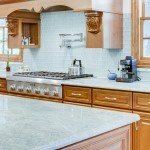 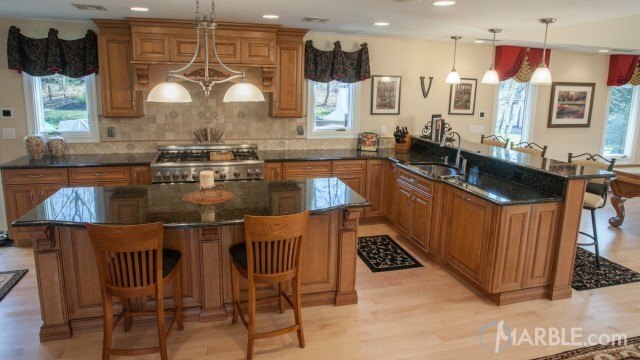 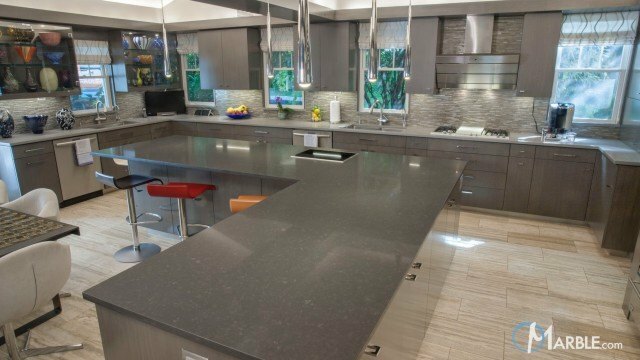 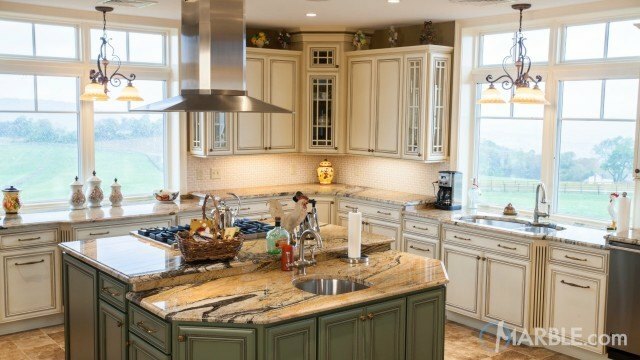 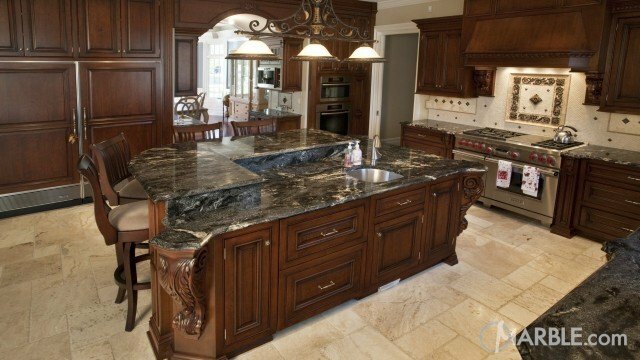 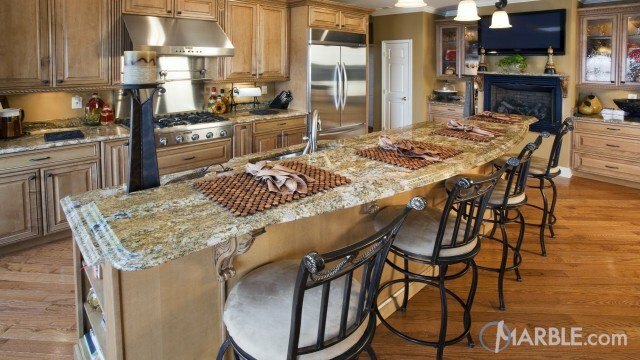 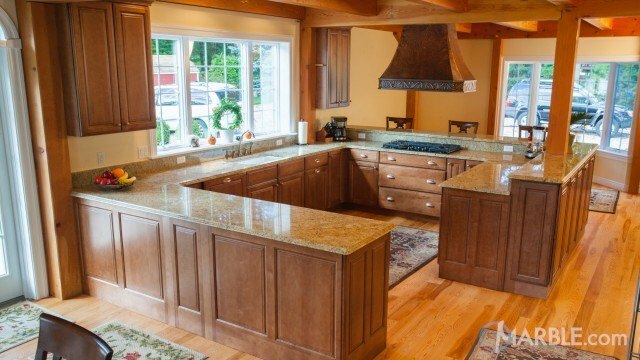 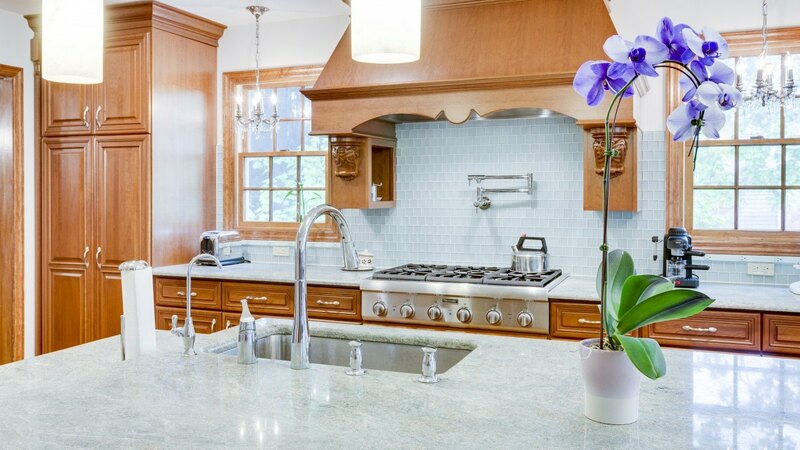 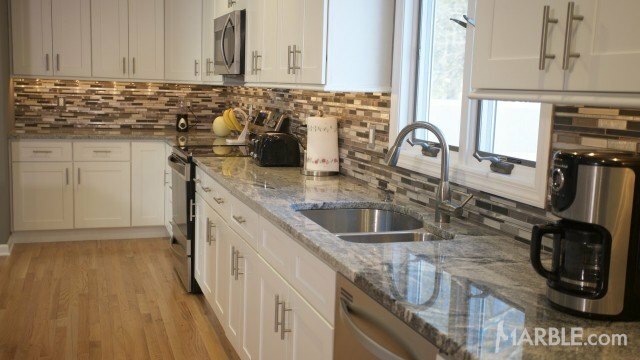 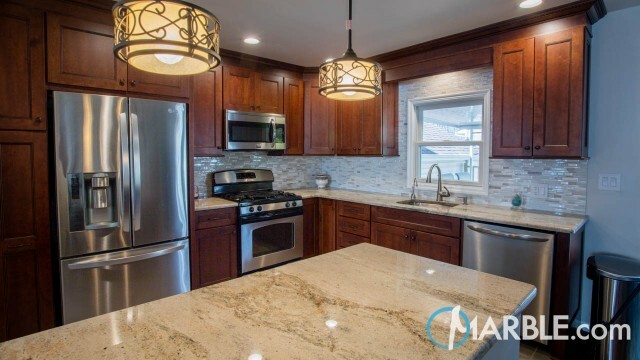 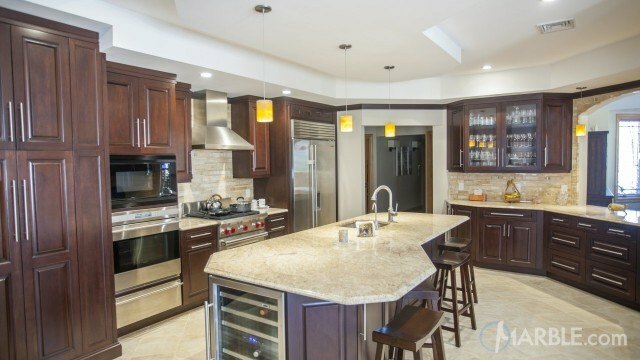 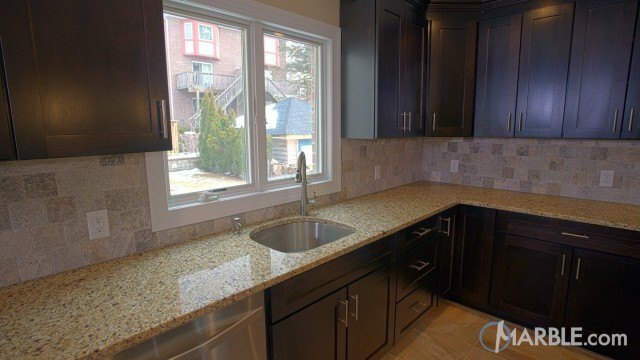 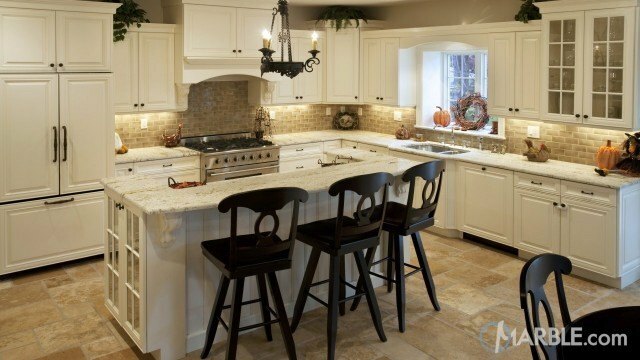 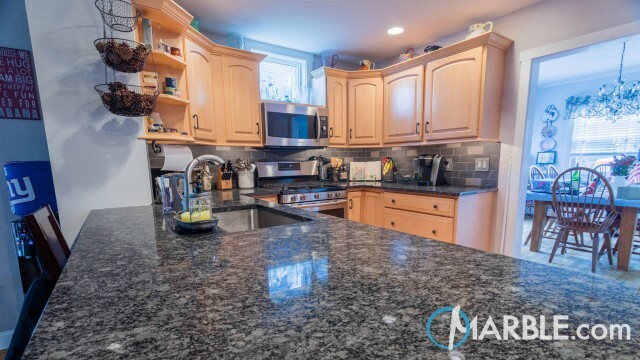 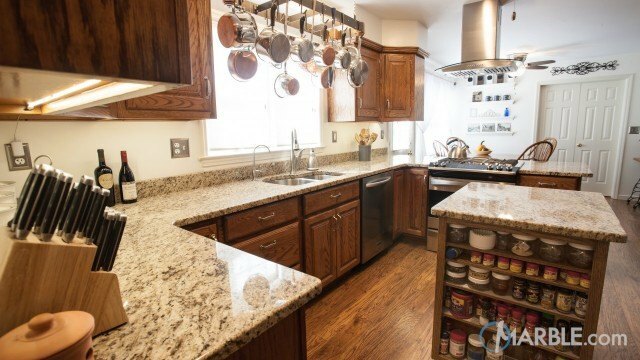 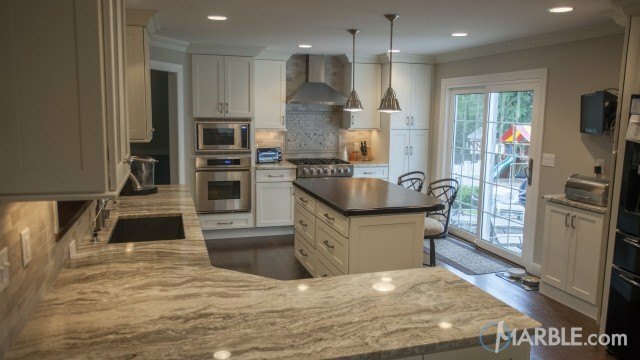 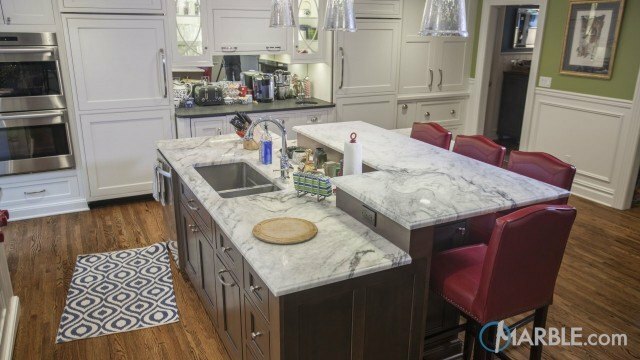 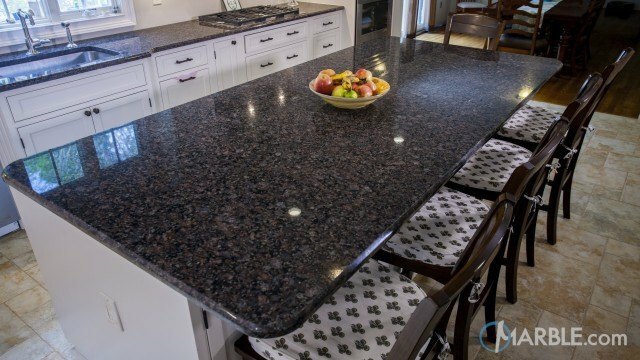 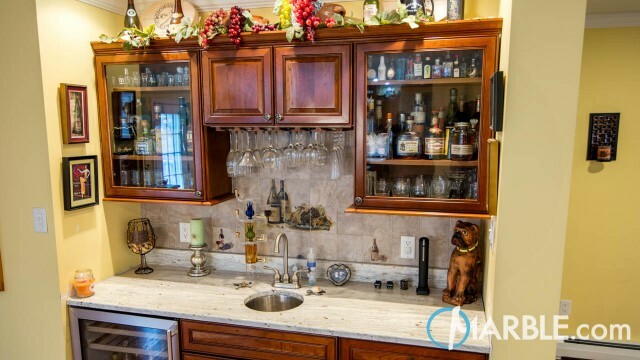 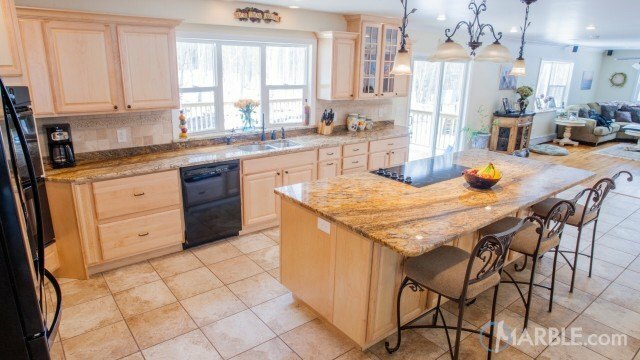 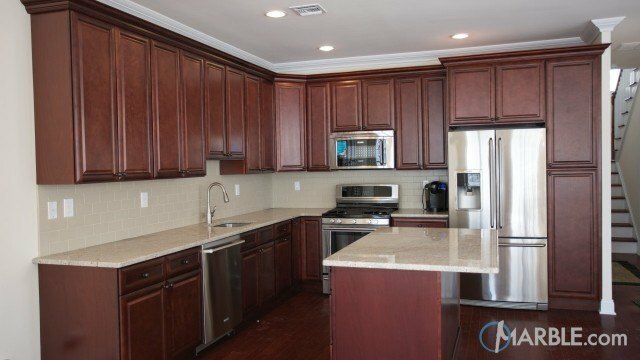 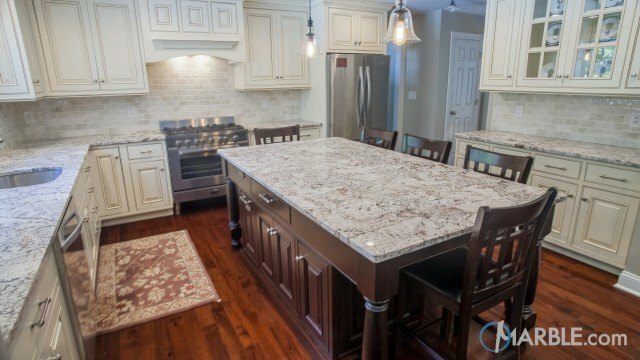 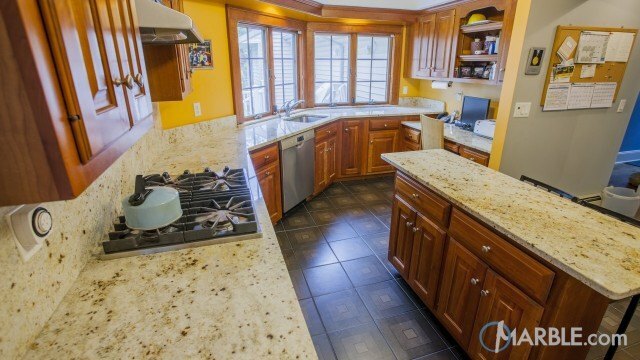 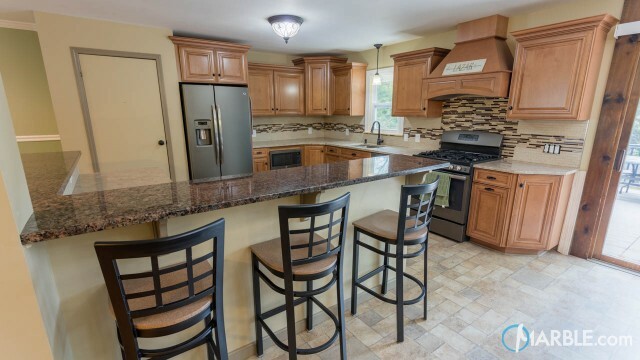 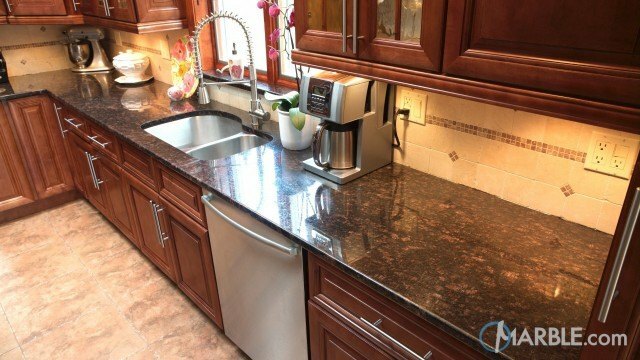 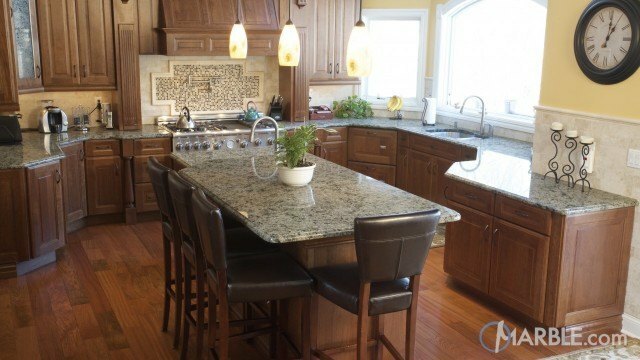 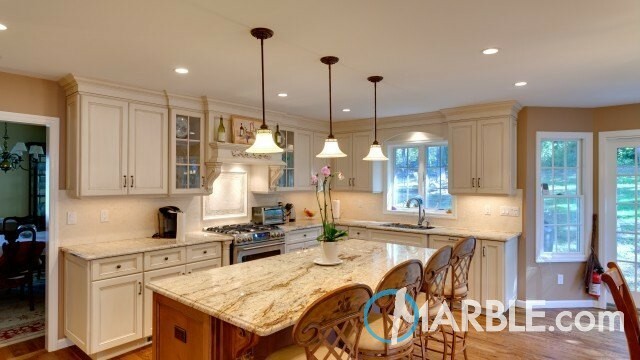 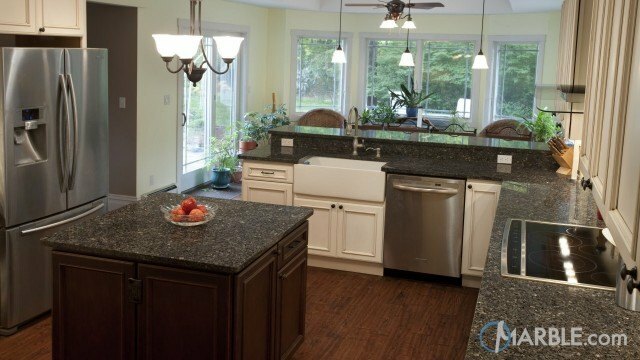 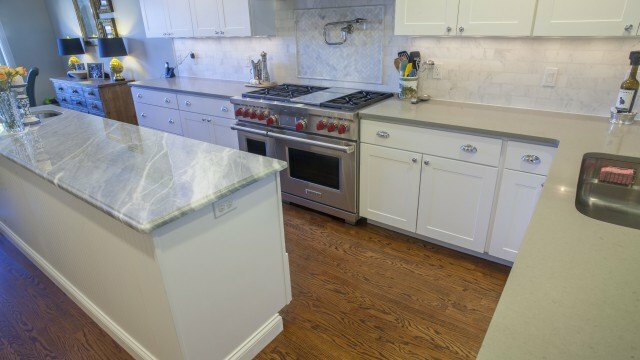 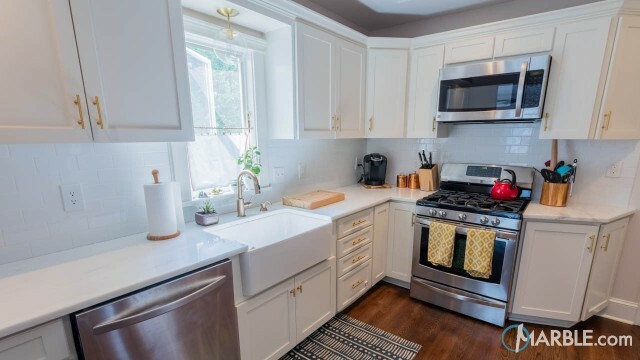 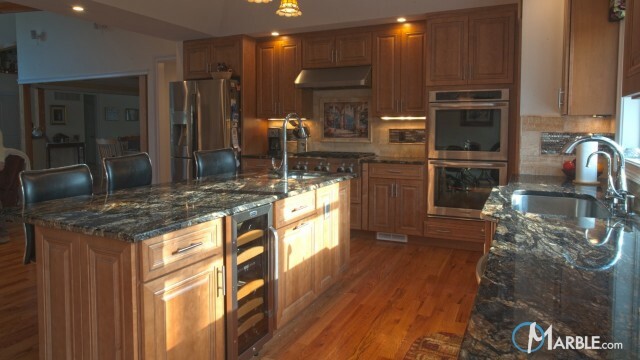 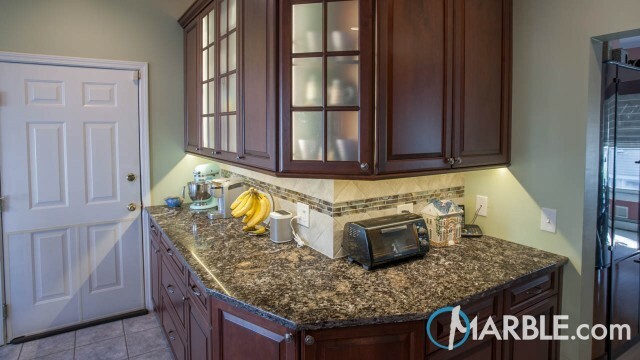 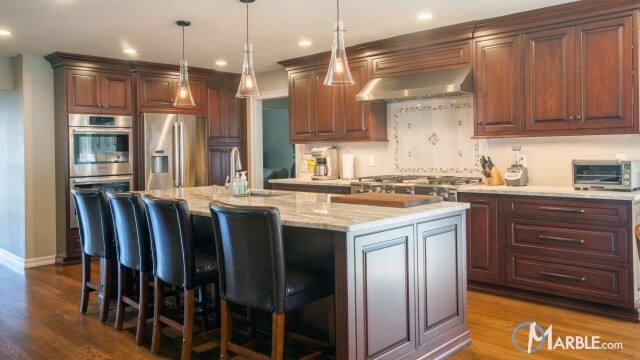 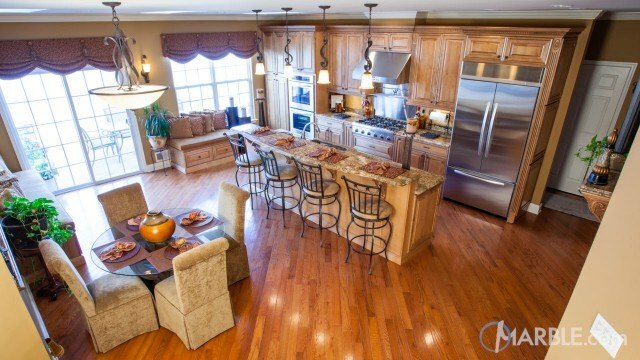 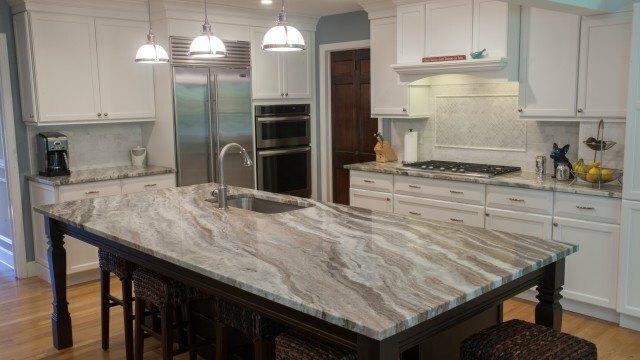 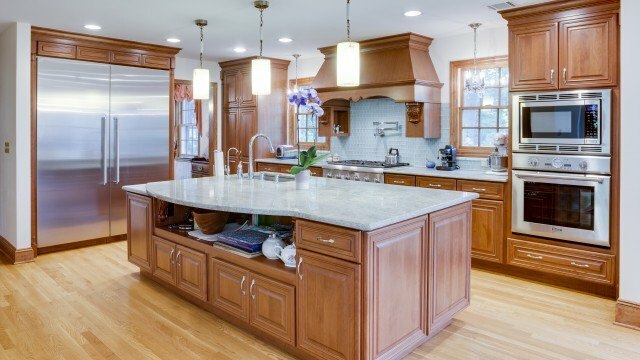 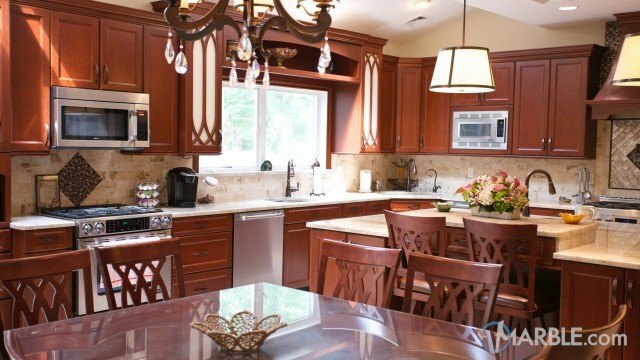 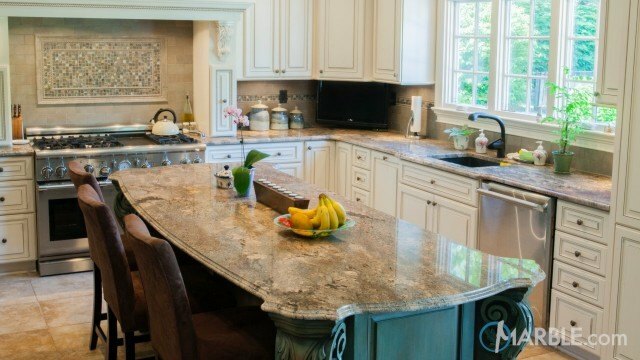 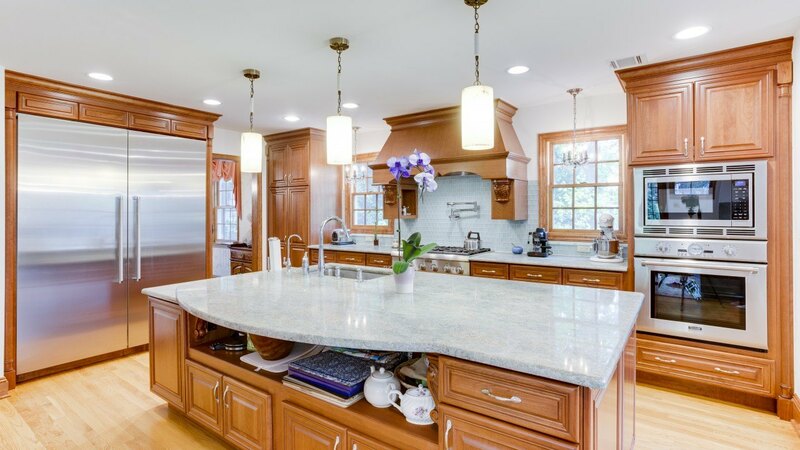 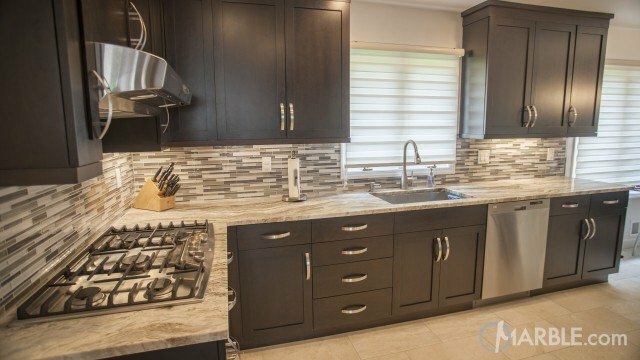 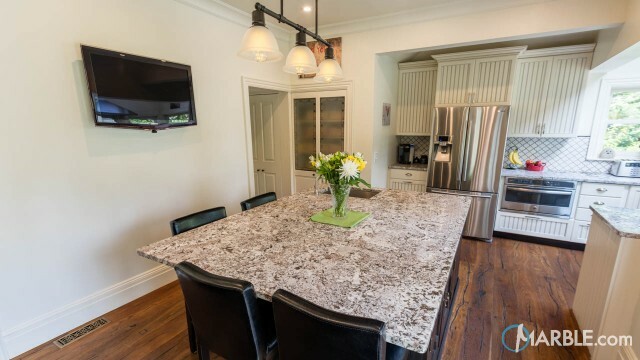 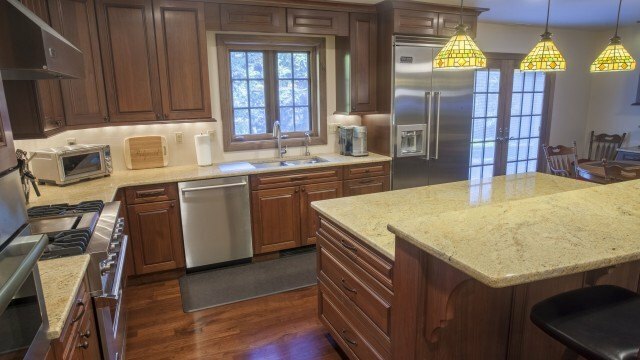 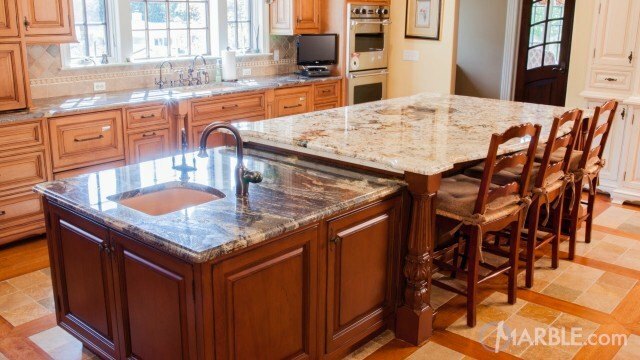 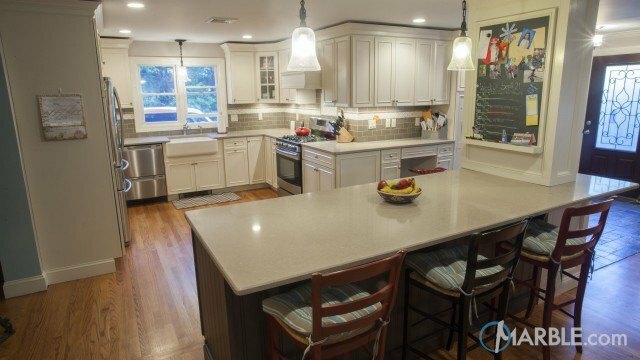 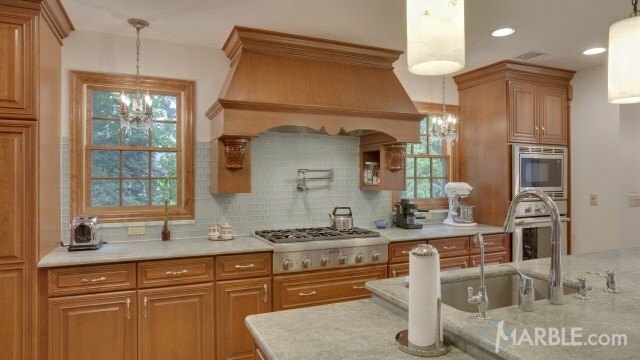 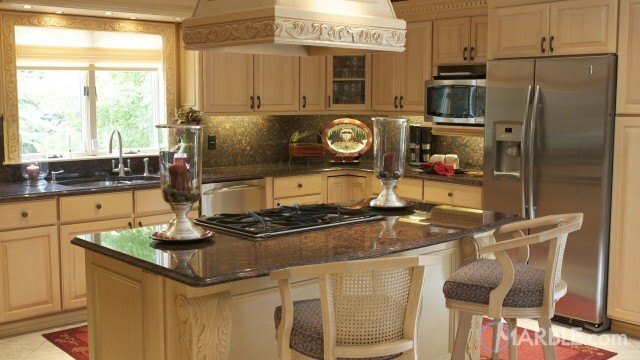 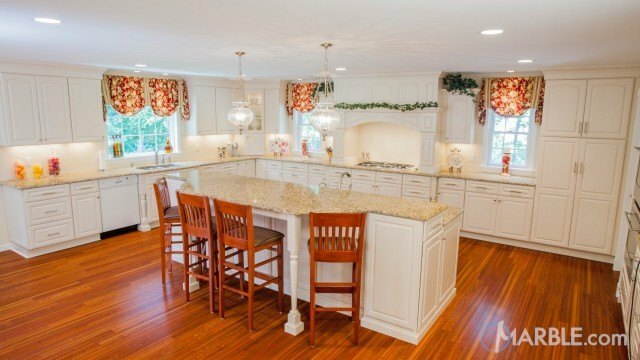 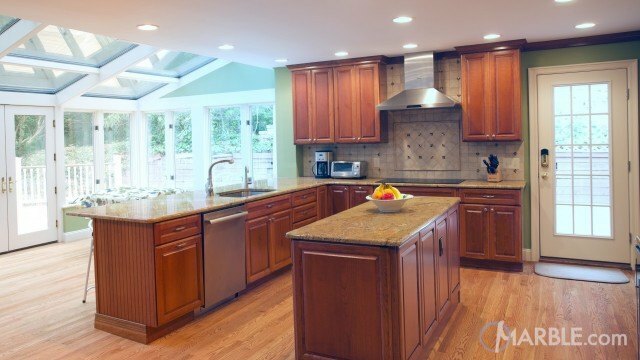 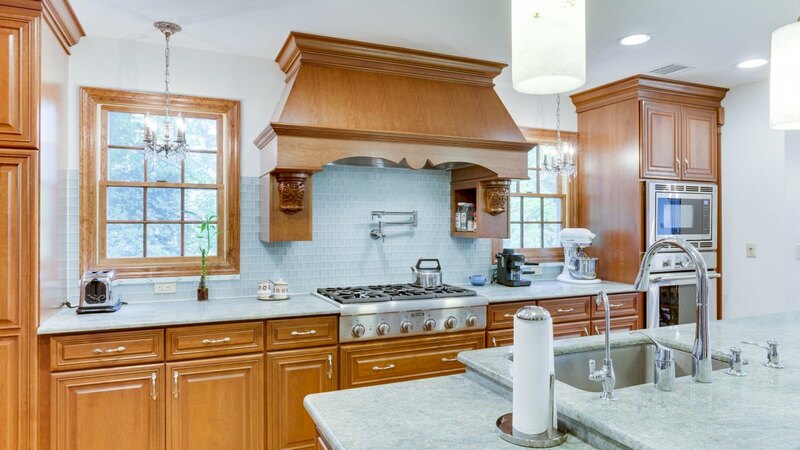 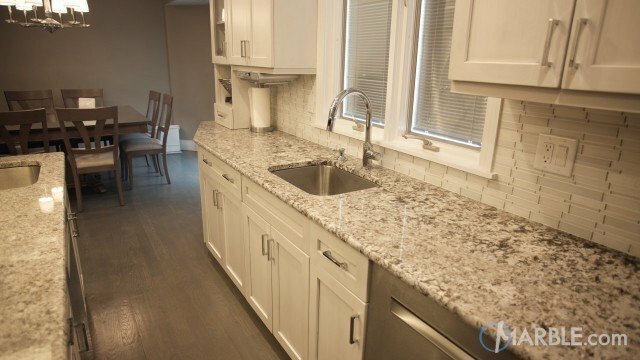 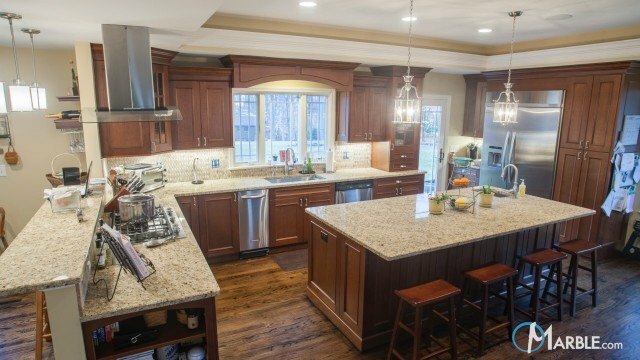 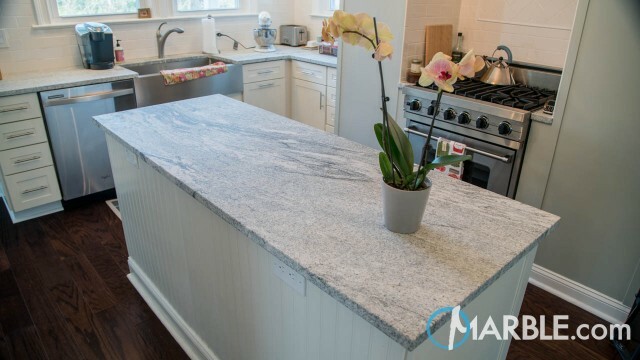 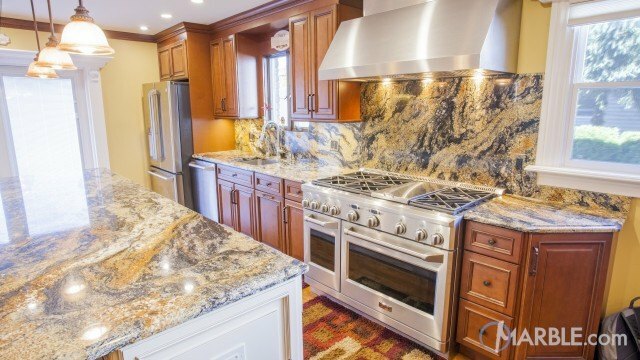 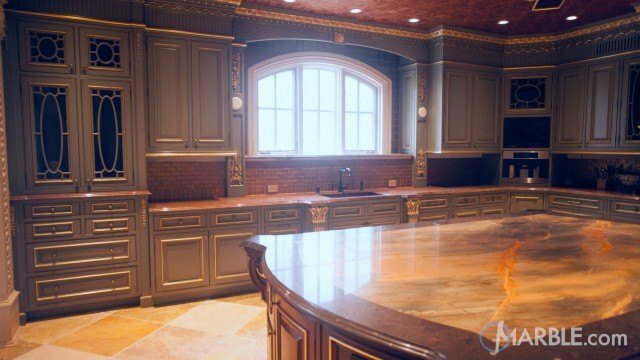 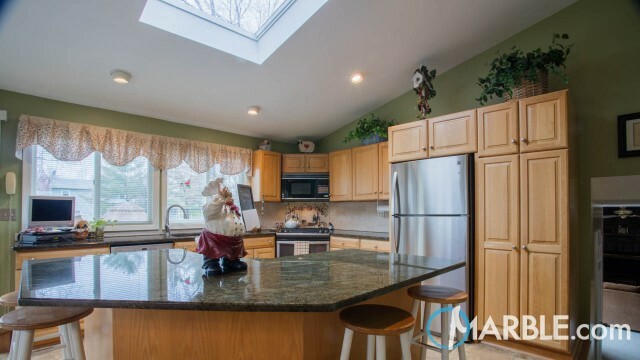 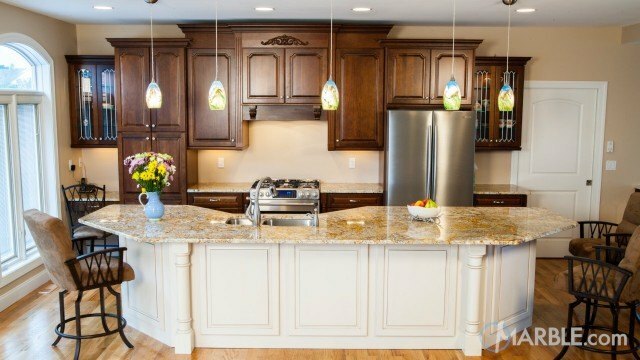 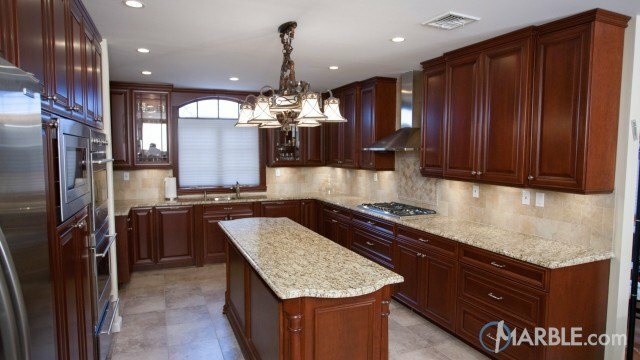 This new kitchen features a stunning Costa Rose granite with oak cabinets. 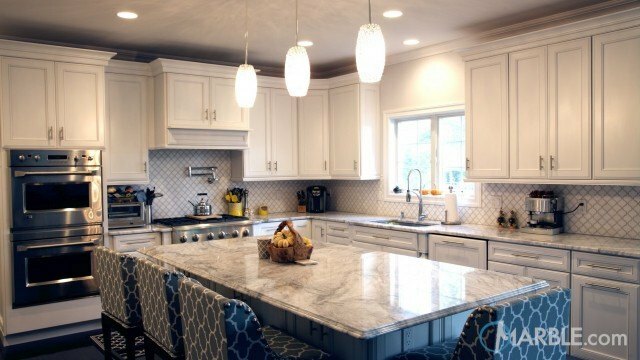 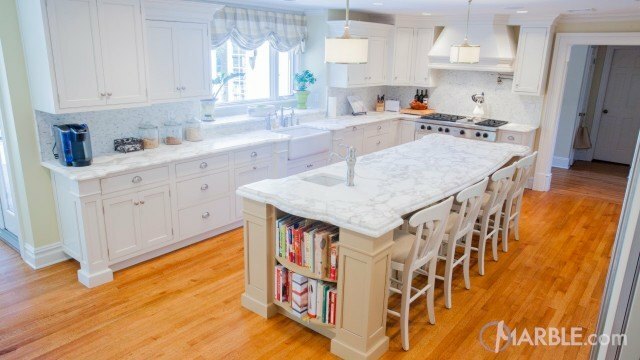 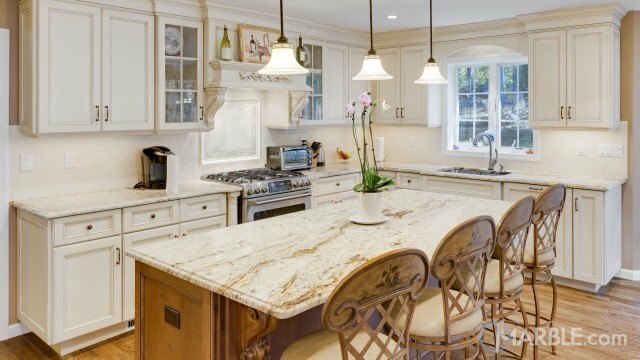 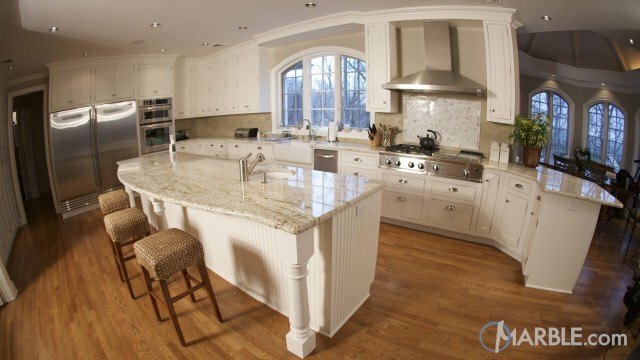 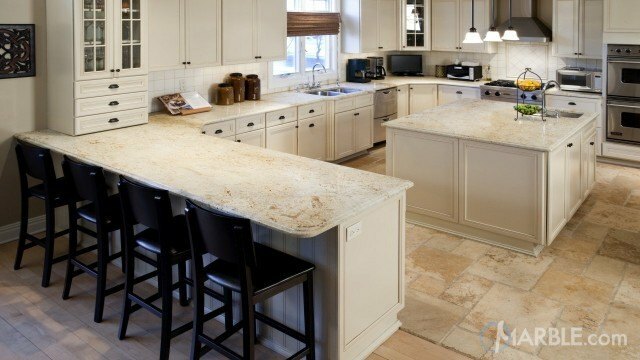 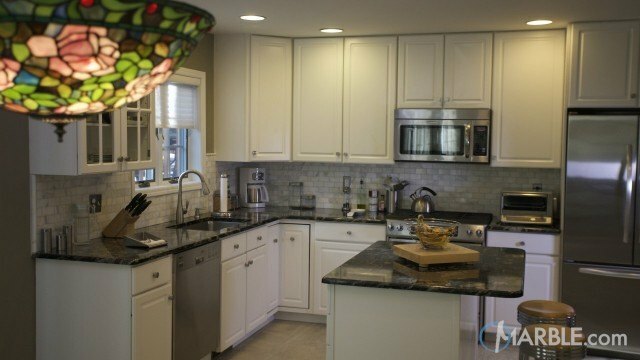 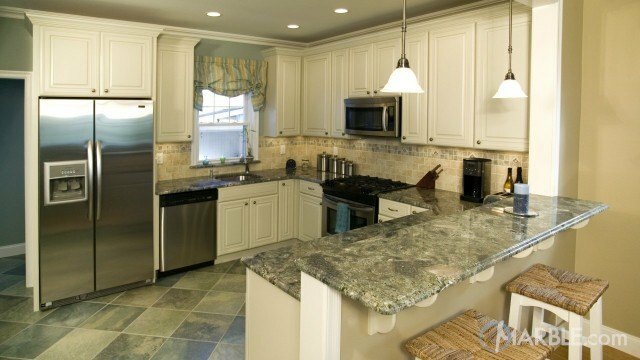 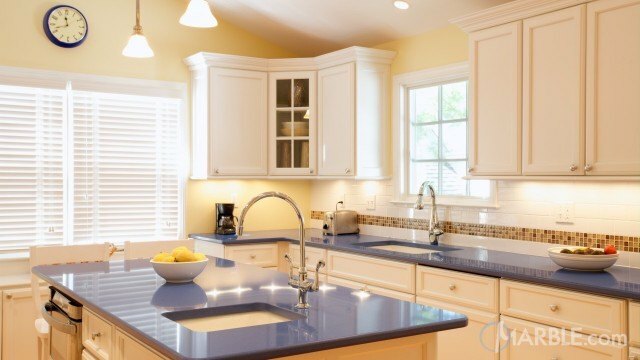 The light colored cabinets combined with the light granite, lots of windows and good lighting make this space feel open and welcoming. 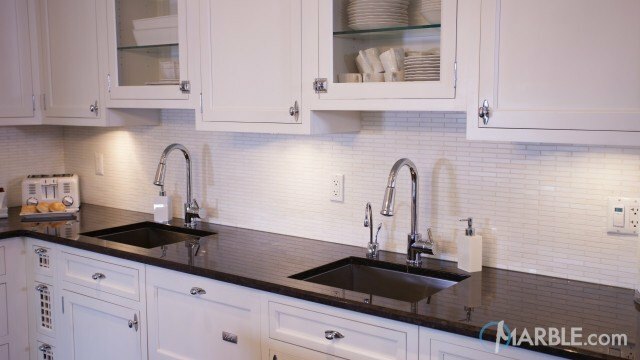 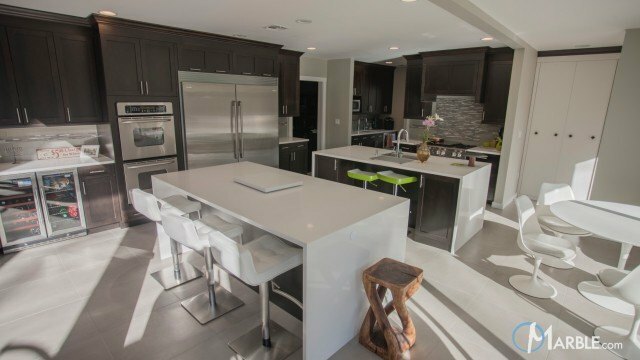 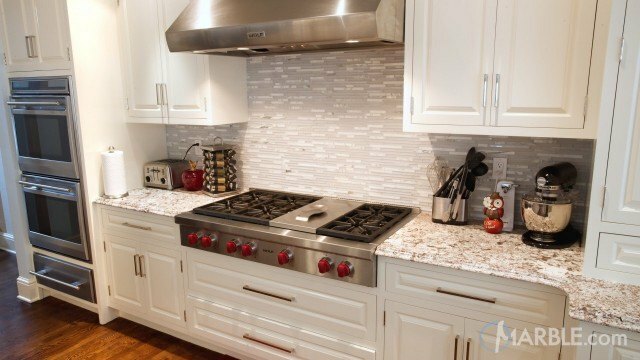 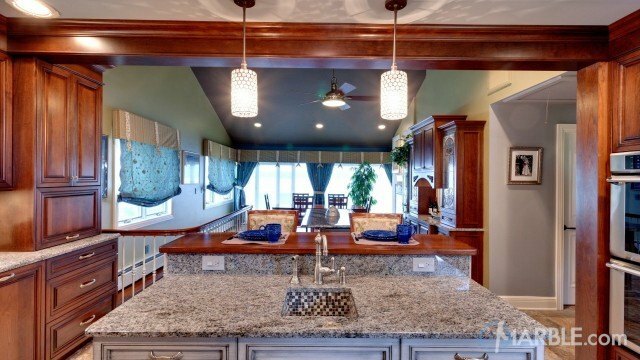 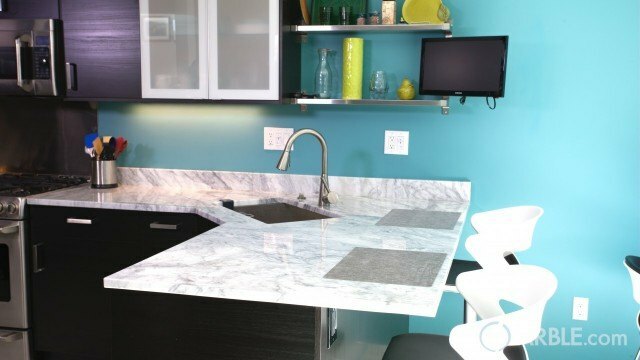 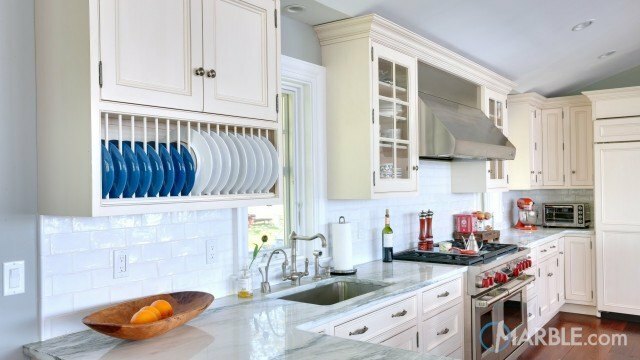 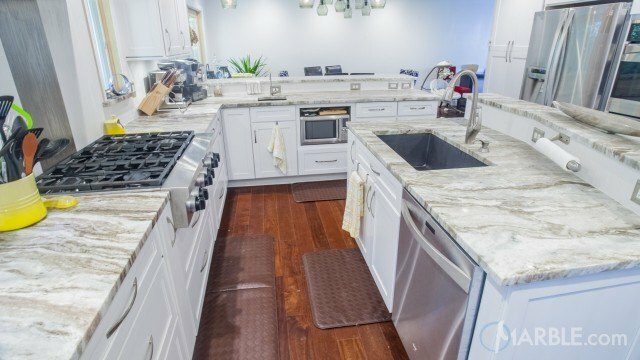 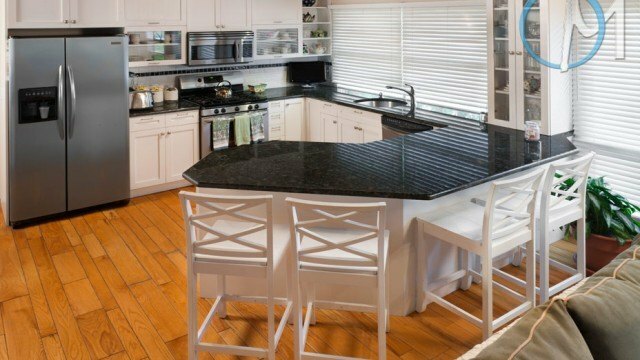 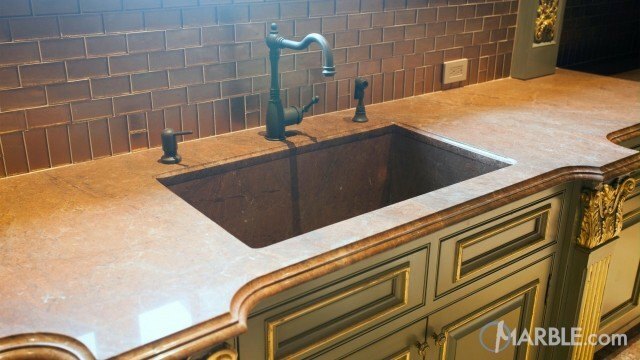 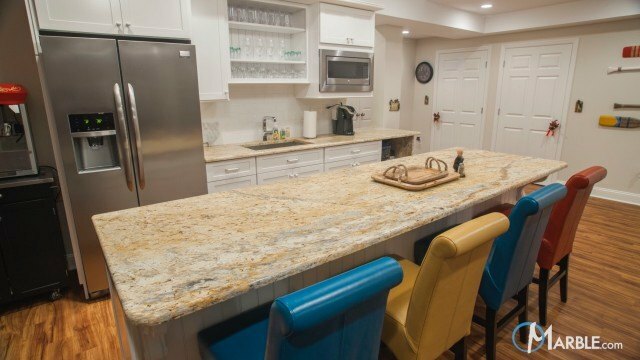 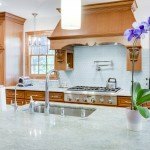 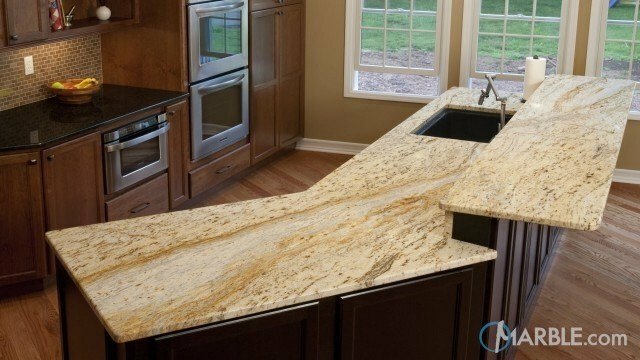 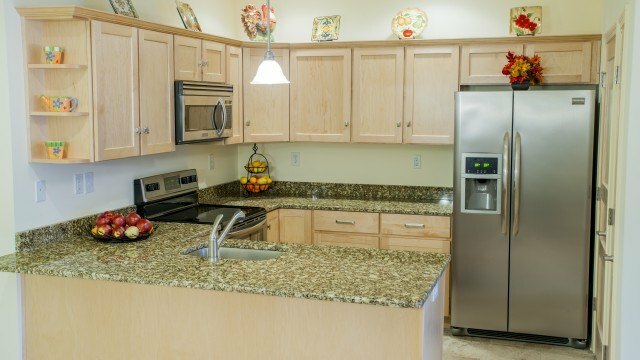 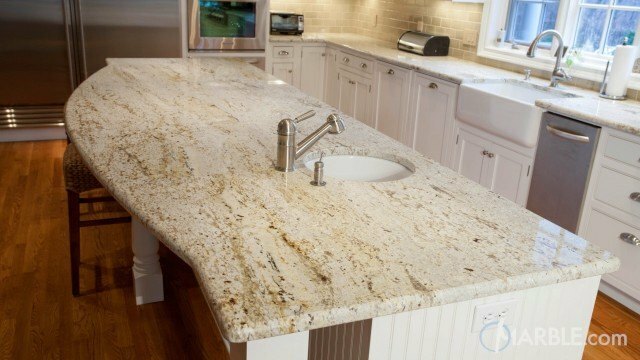 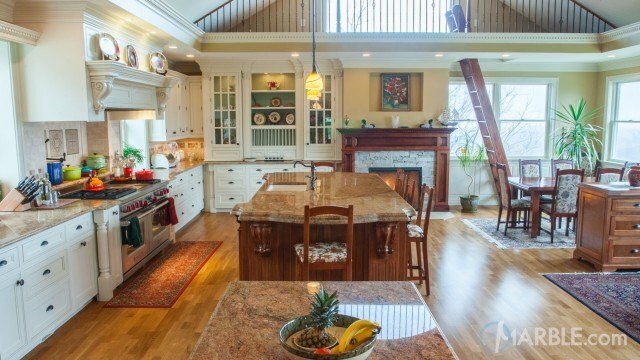 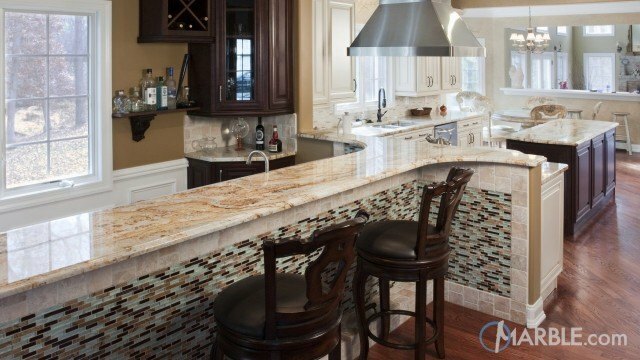 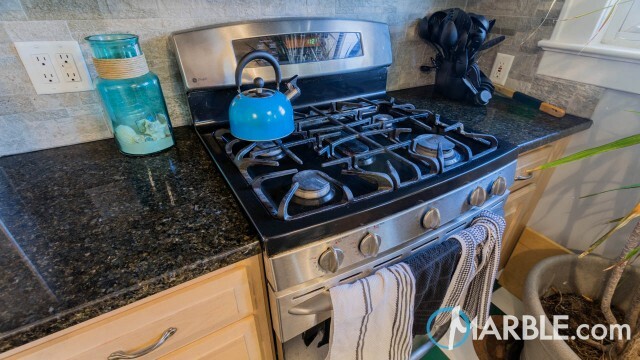 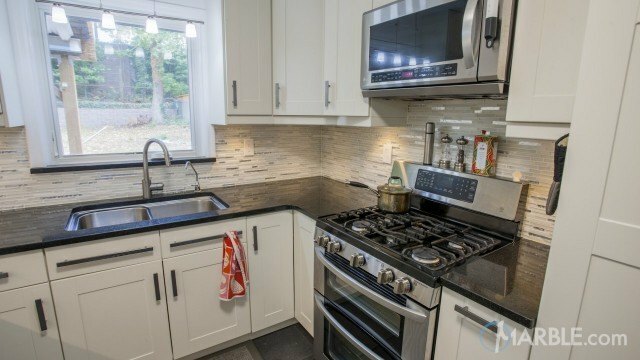 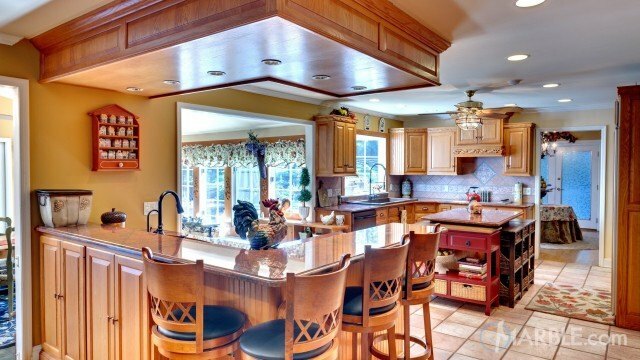 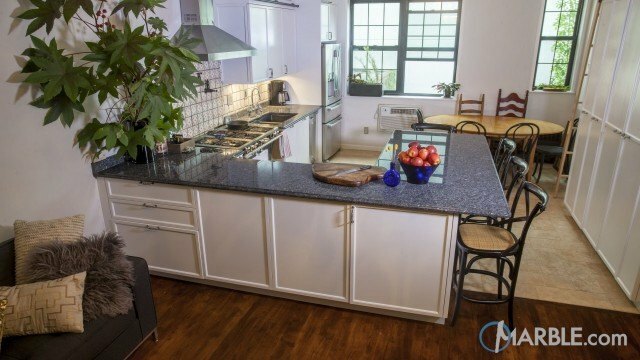 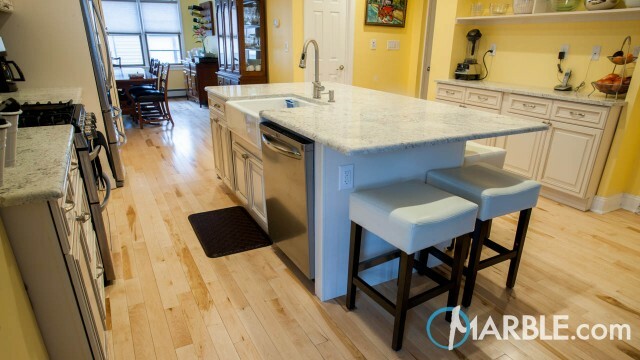 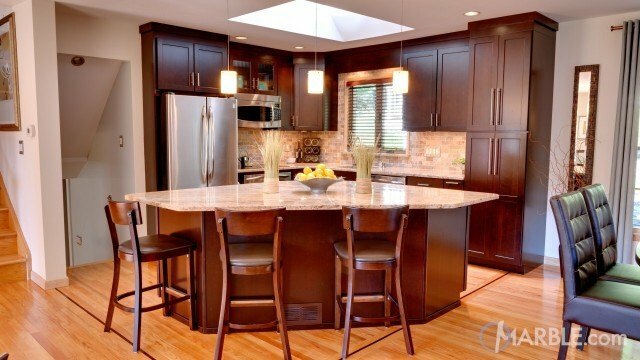 The island is not just a great space for cooking but also for storage.